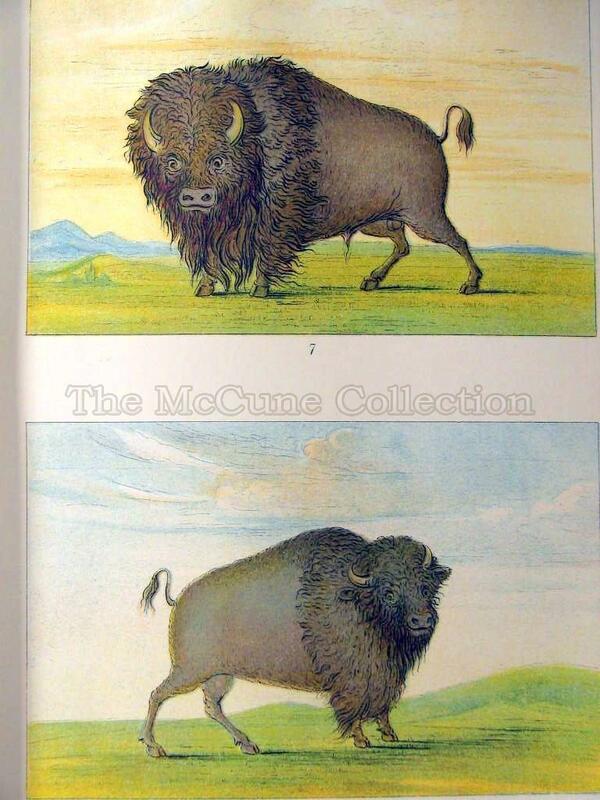 The McCune Collection: Leary, Stuart and Co.
Home > The Collection > Fine Printing > Other Printers > Leary, Stuart and Co.
Catlin was a native of Wilkes-Barre, Pennsylvania. 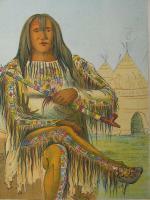 Although he studied law, he was a lawyer for only a short time before following his true interest- art. 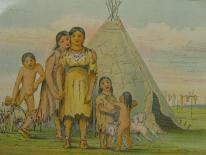 At first he did miniatures and portraits (including one of the governor of New York). 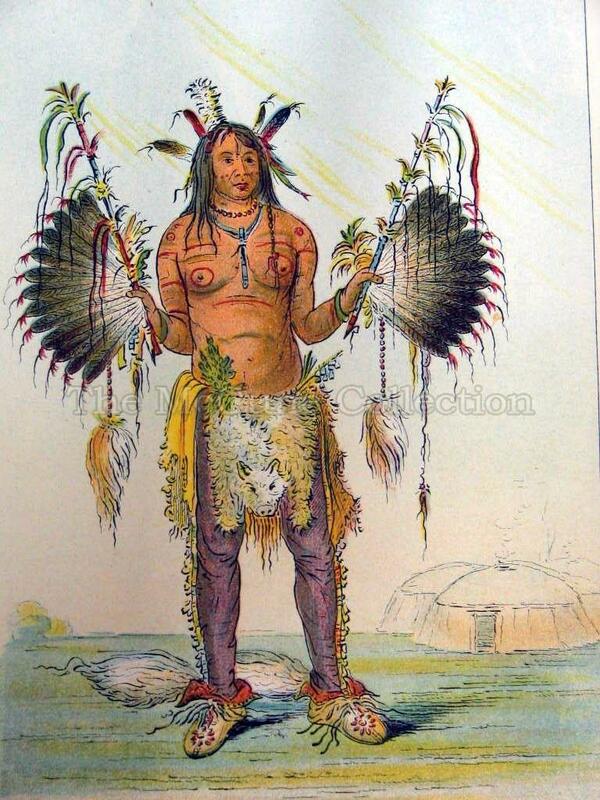 His subject matter soon became the Tribes of the American Plains. 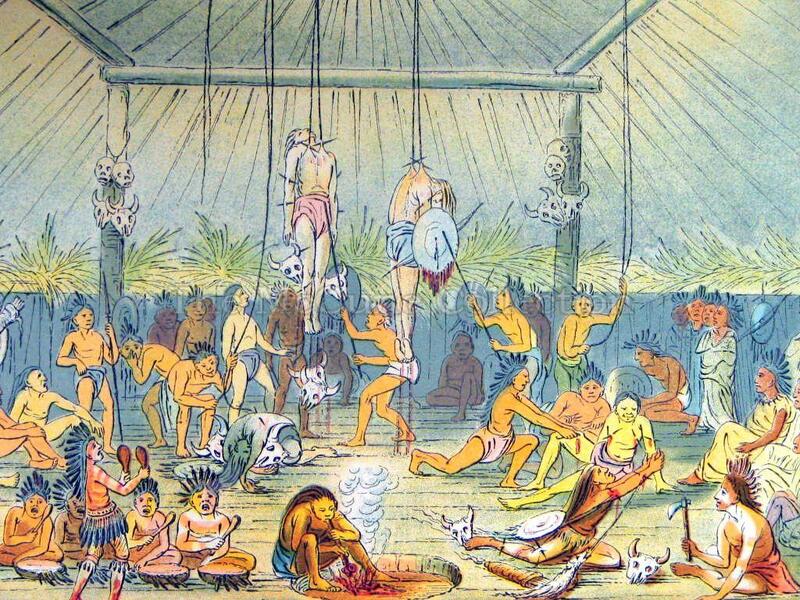 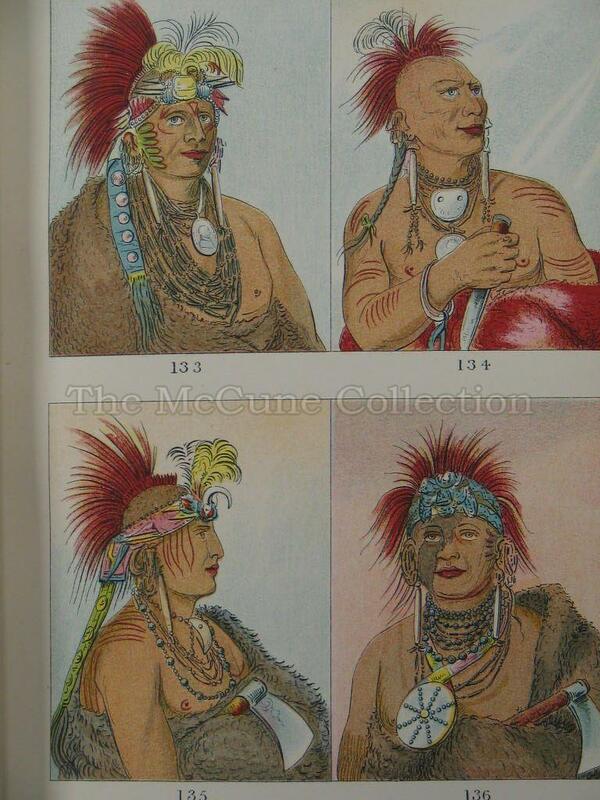 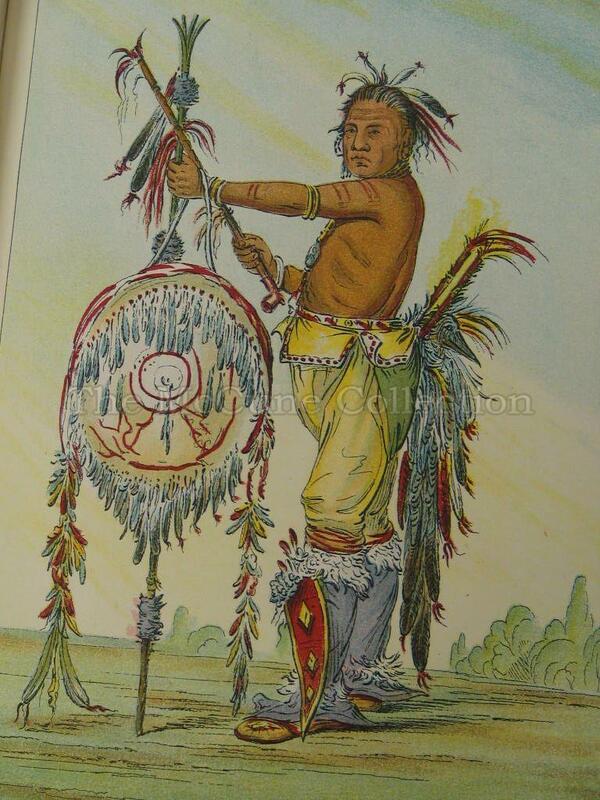 He may have first developed his interest in Indians from his mother, who had once been a captive of the Indians. 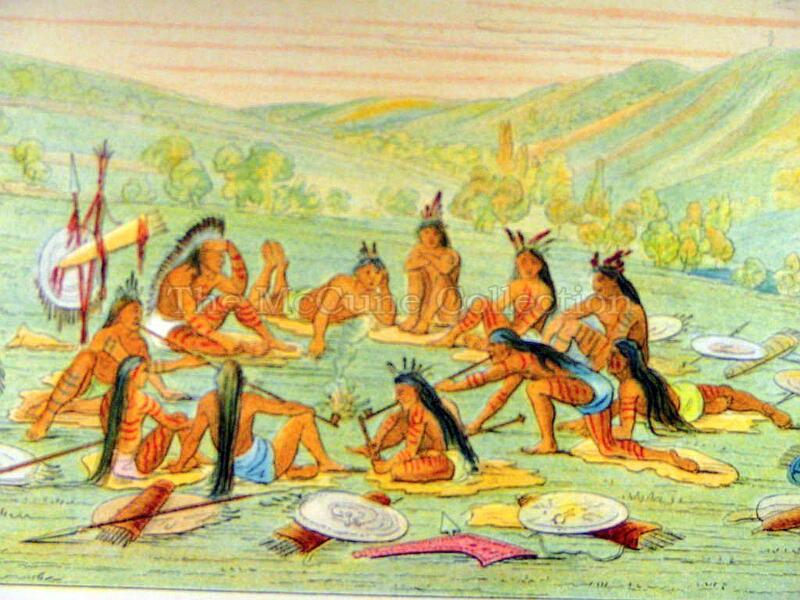 Observing a delegation of Indians passing through Philadelphia in the 1820s, he chose to record their way of life to preserve their heritage. 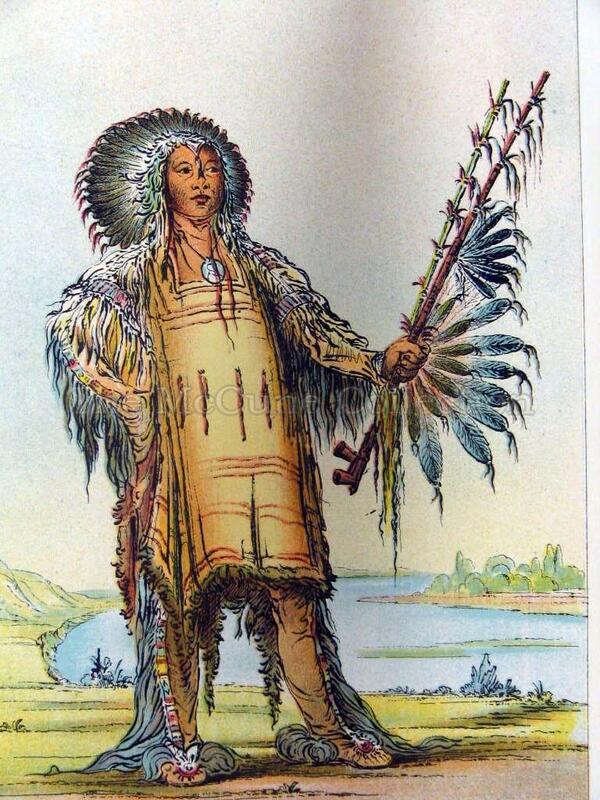 In 1830, he moved to St. Louis to meet with the Superintendent of Indian Affairs – William Clark. 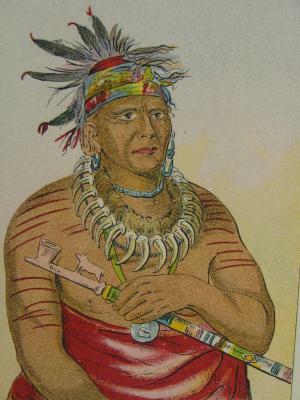 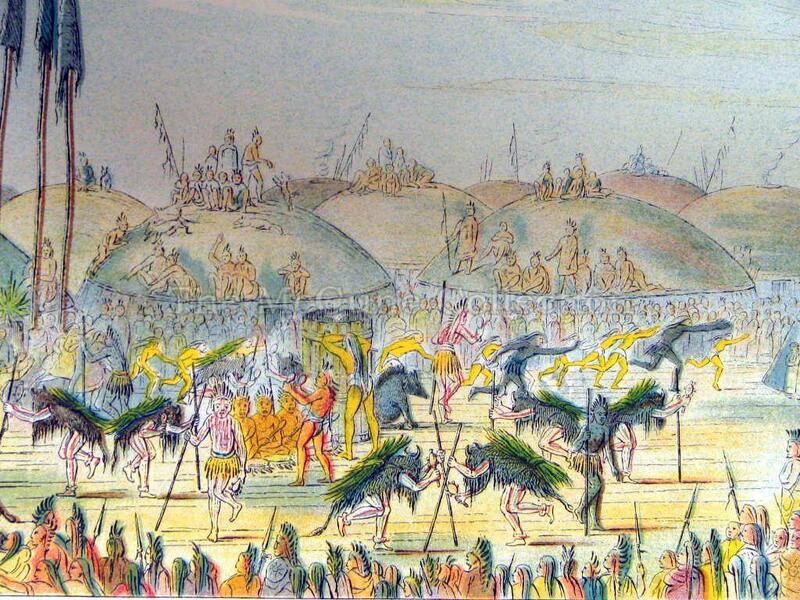 Catlin accompanied Clark on his treaty meetings with the tribes. 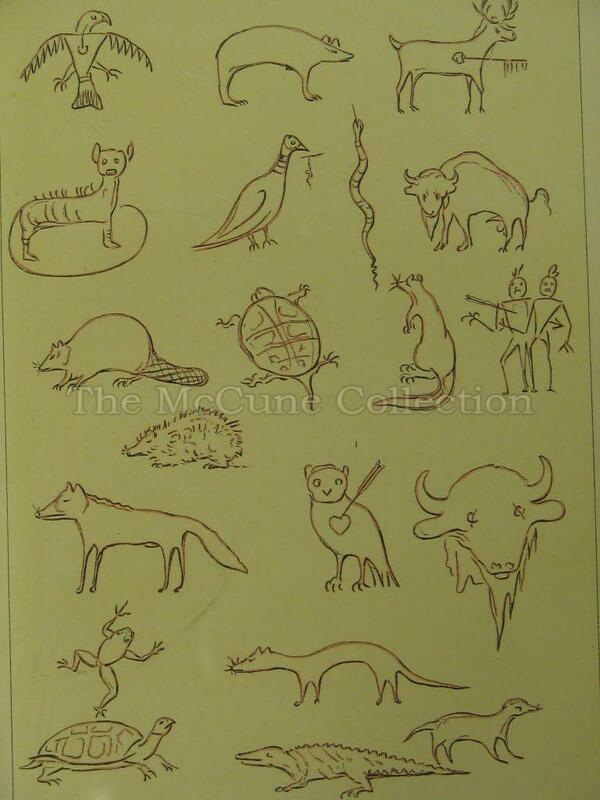 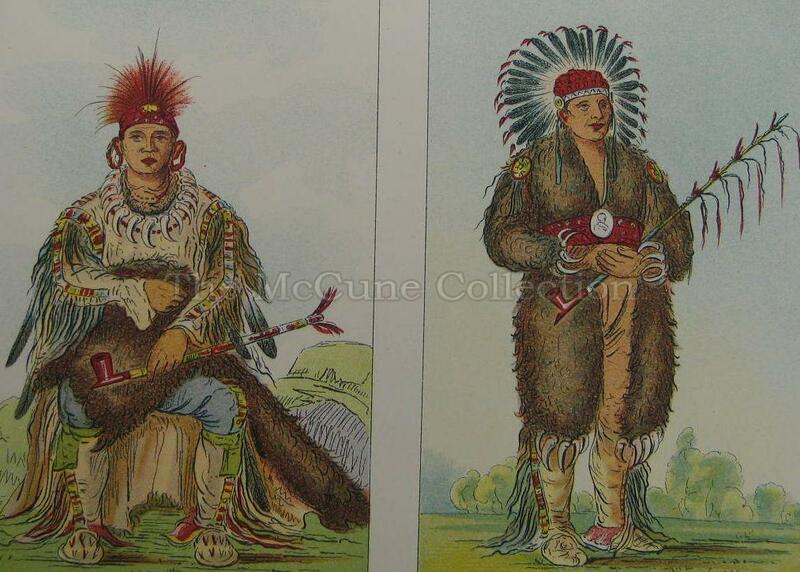 Catlin also traveled with the American Fur Company and their traders along the upper and lower Missouri. 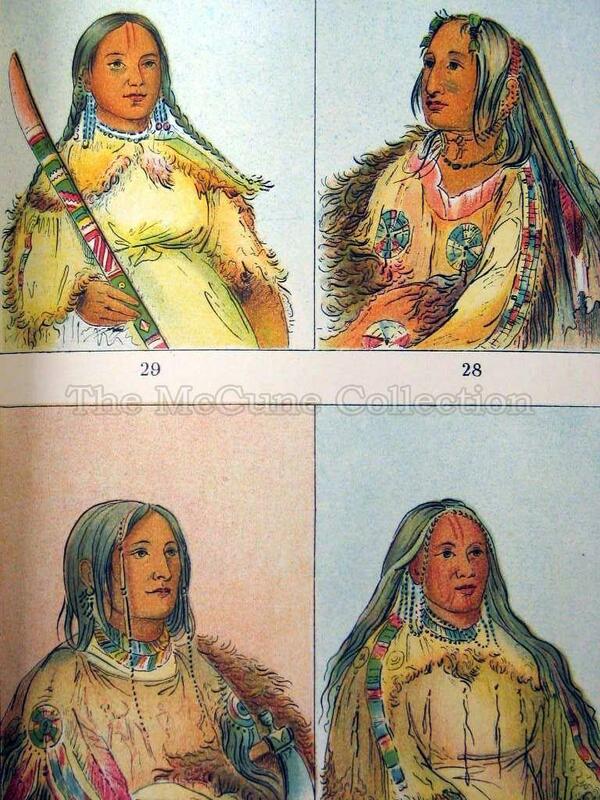 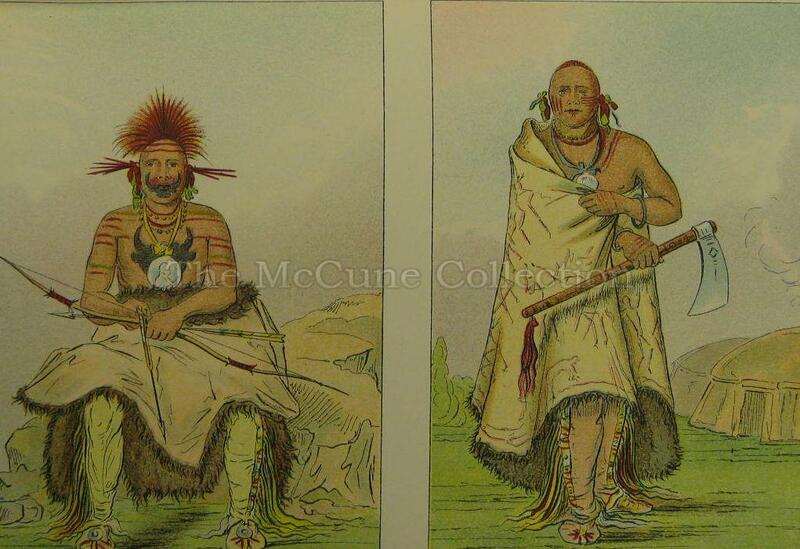 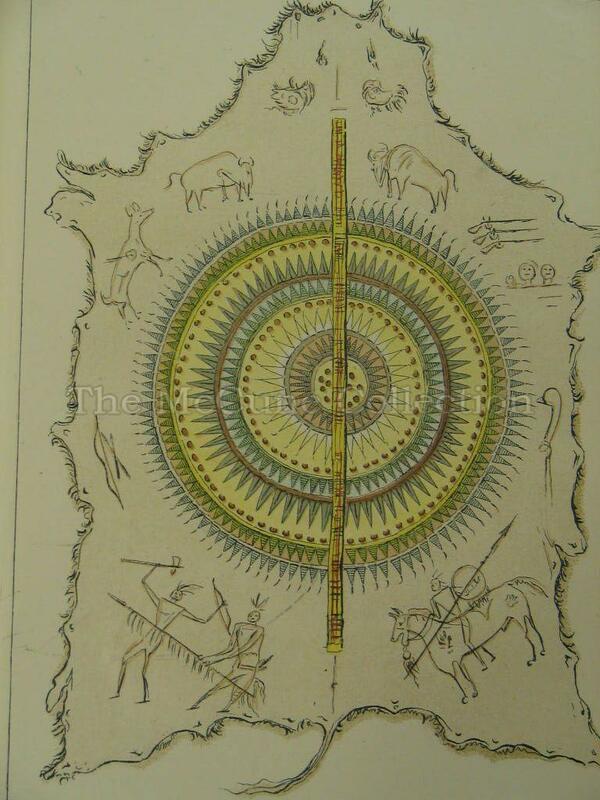 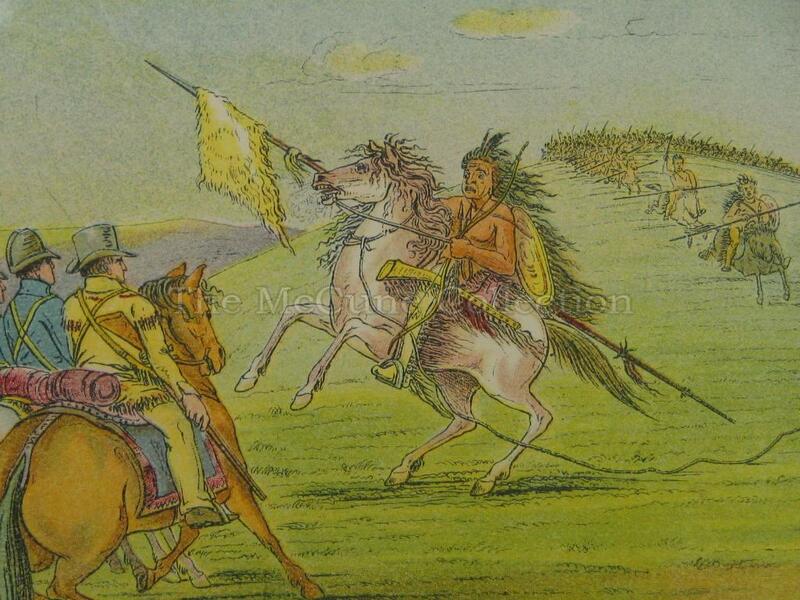 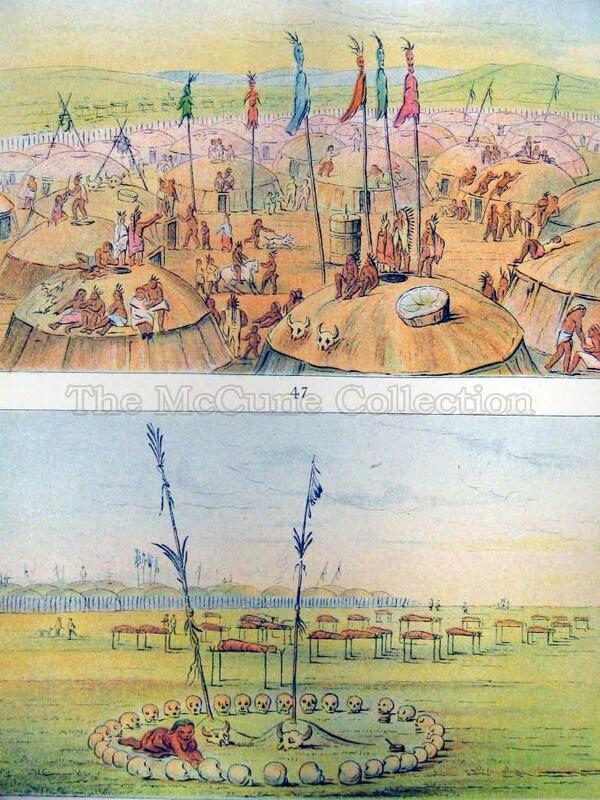 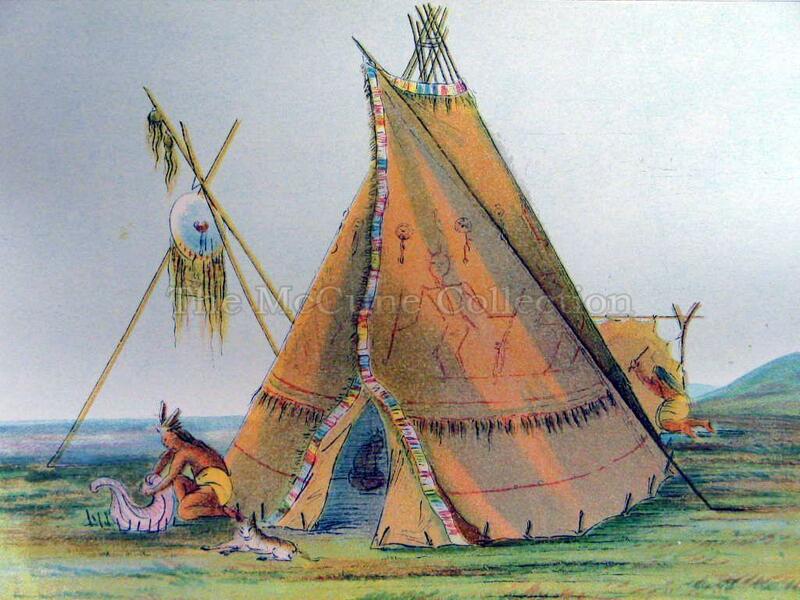 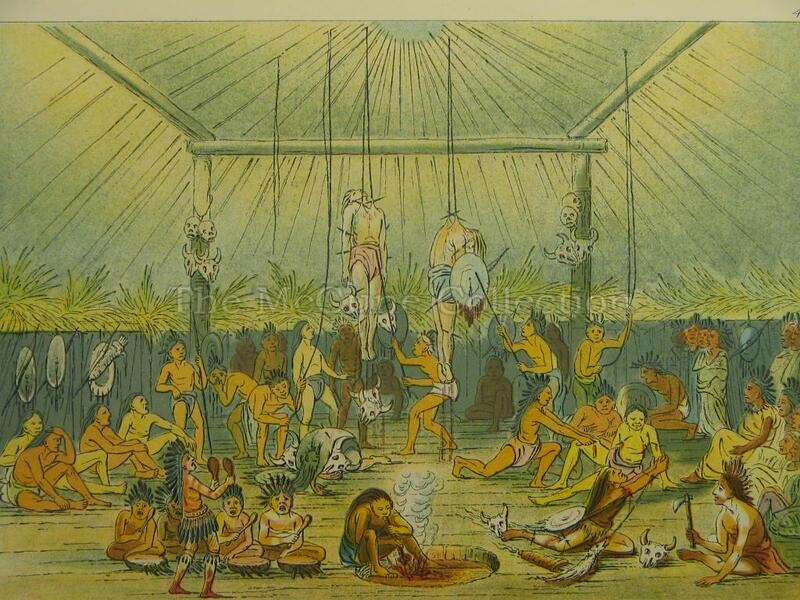 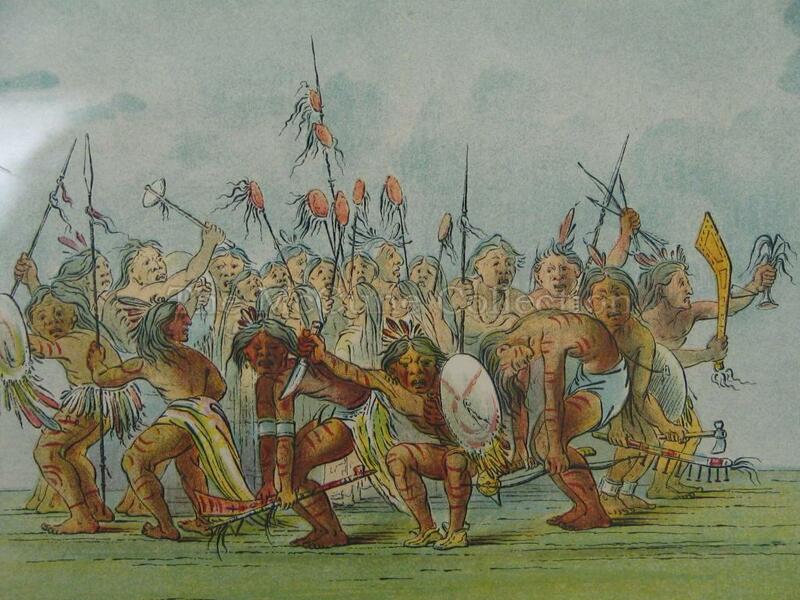 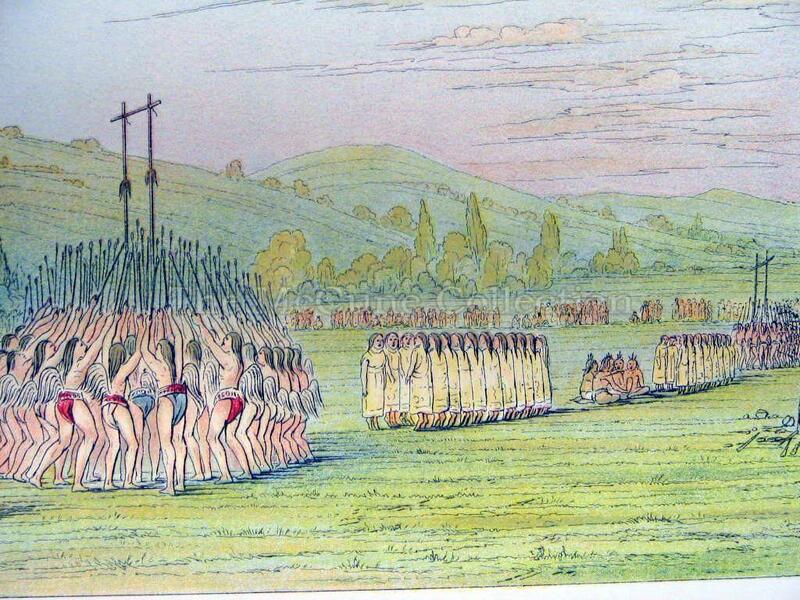 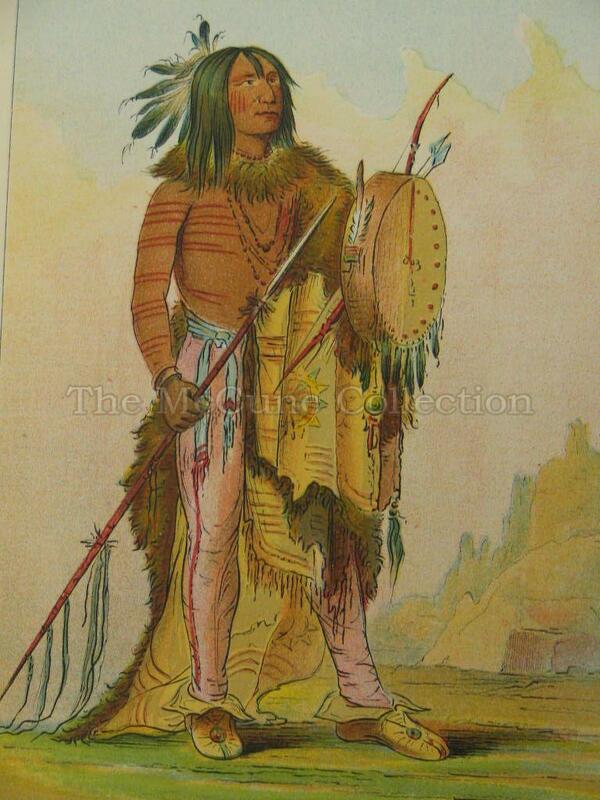 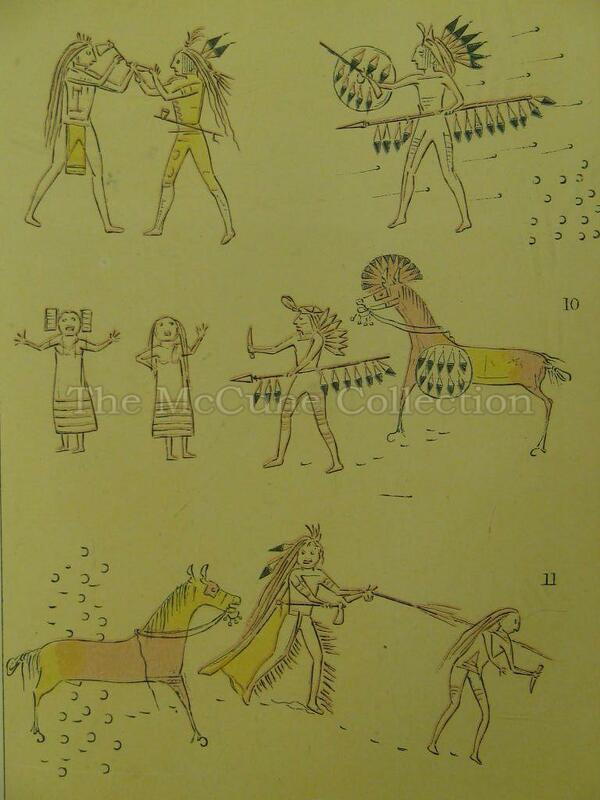 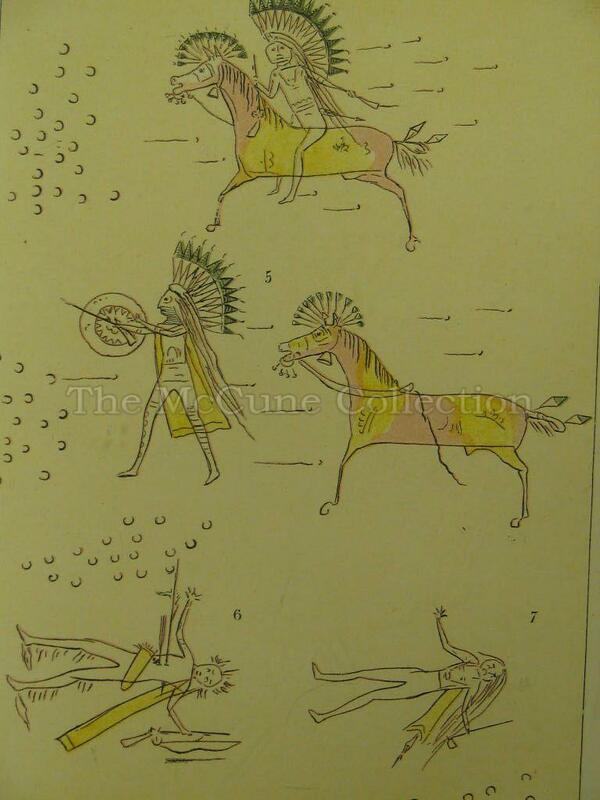 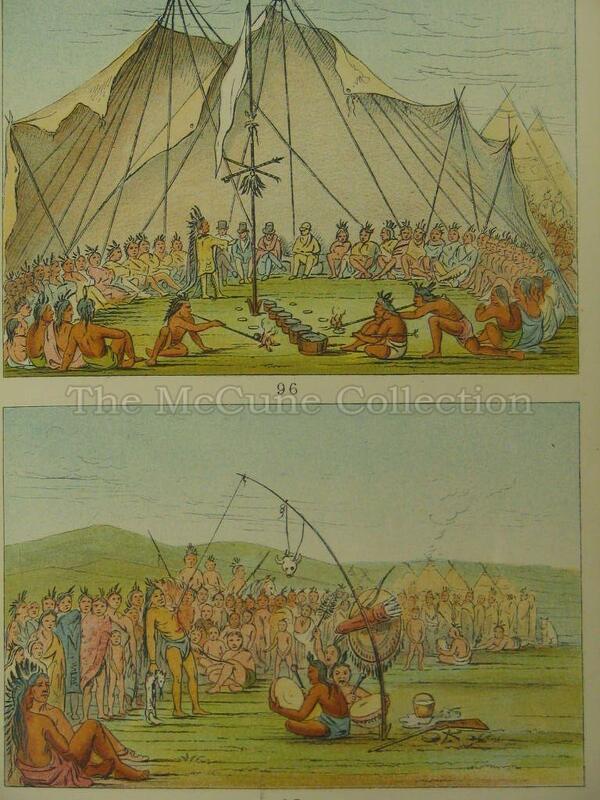 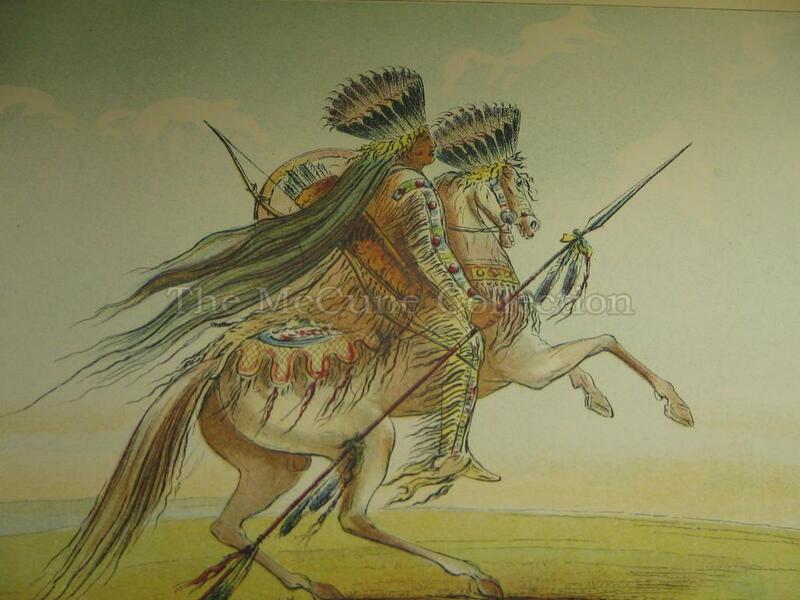 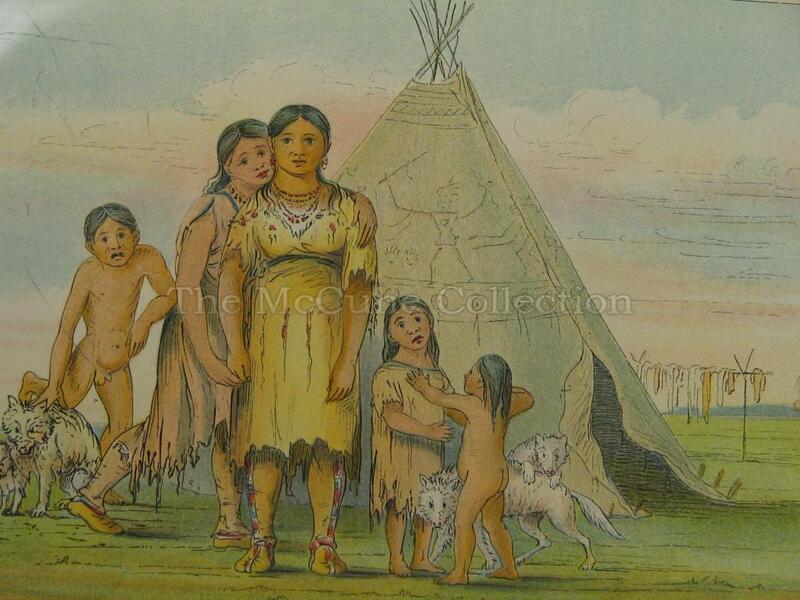 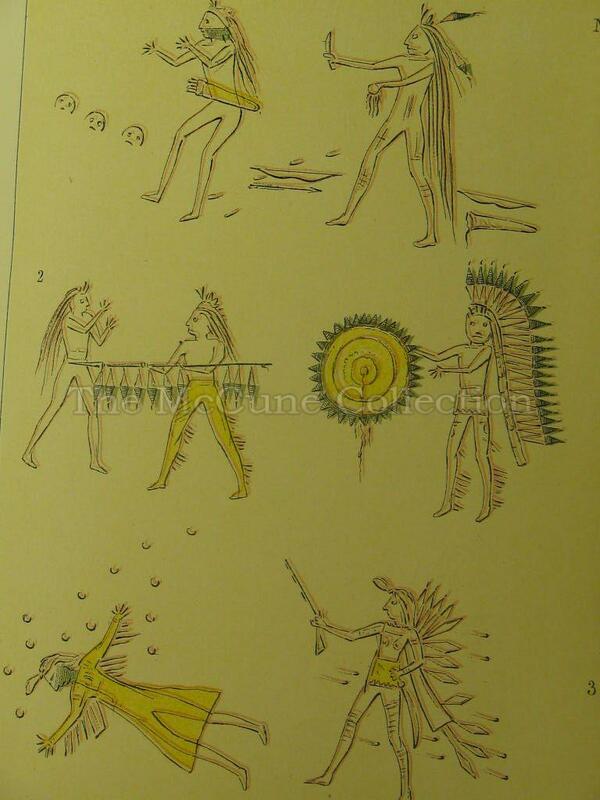 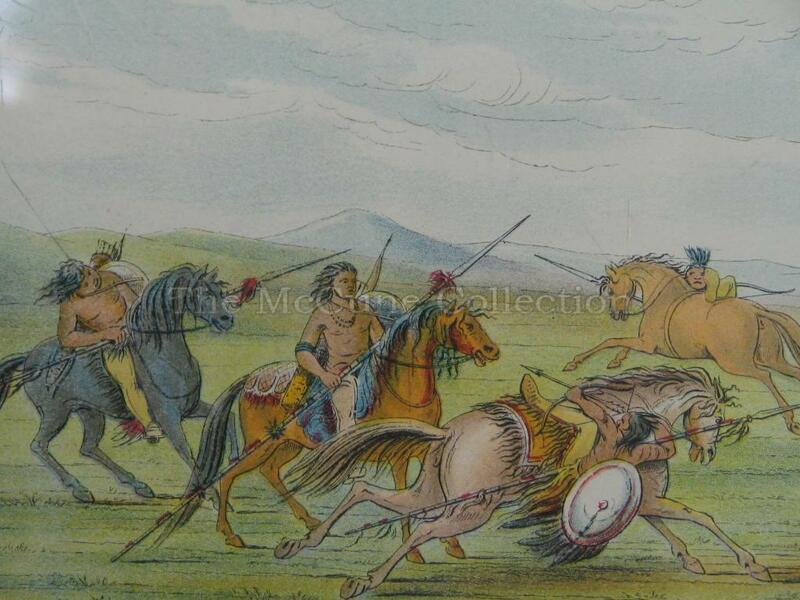 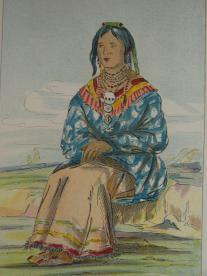 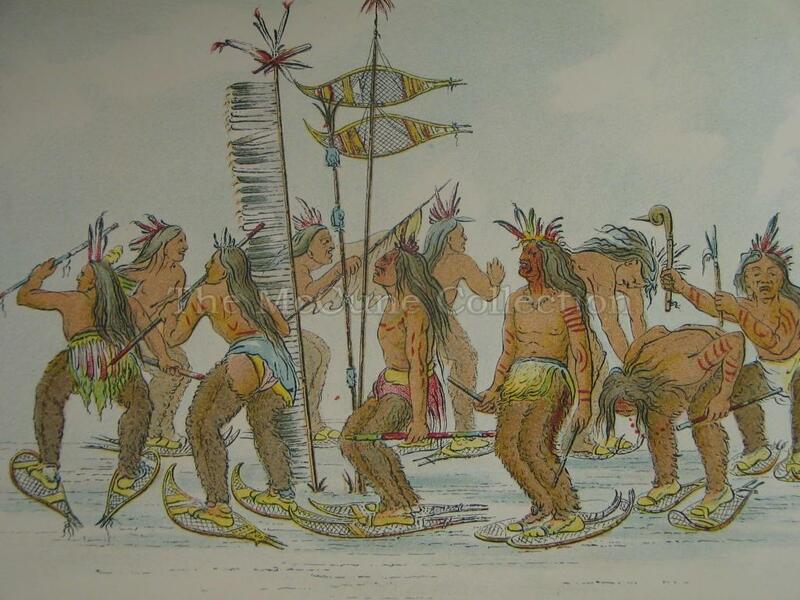 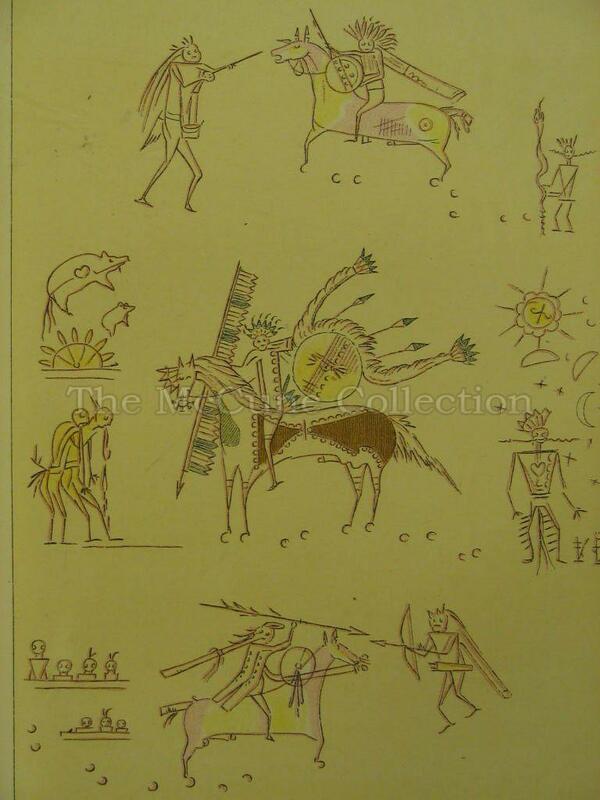 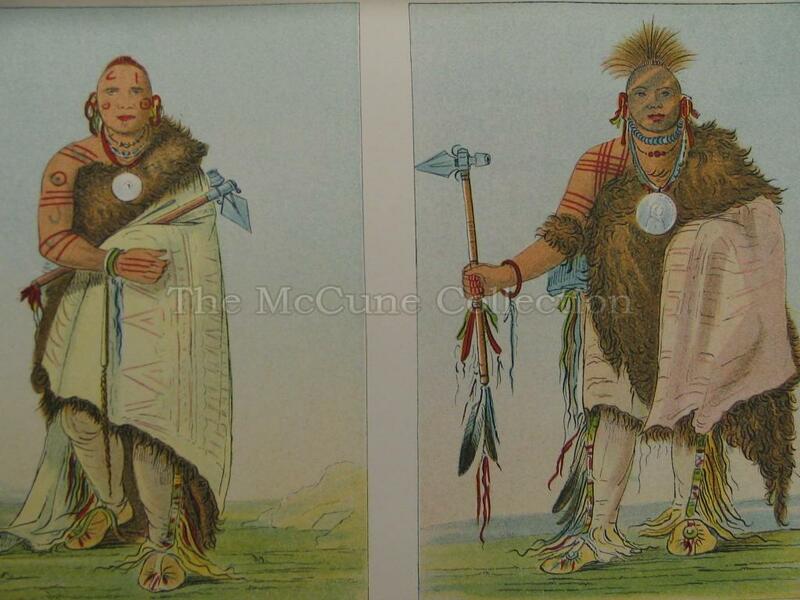 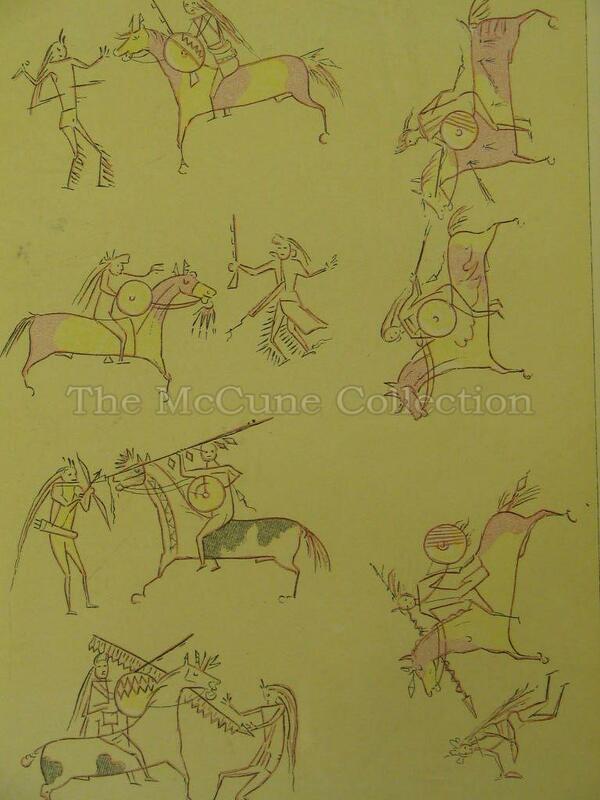 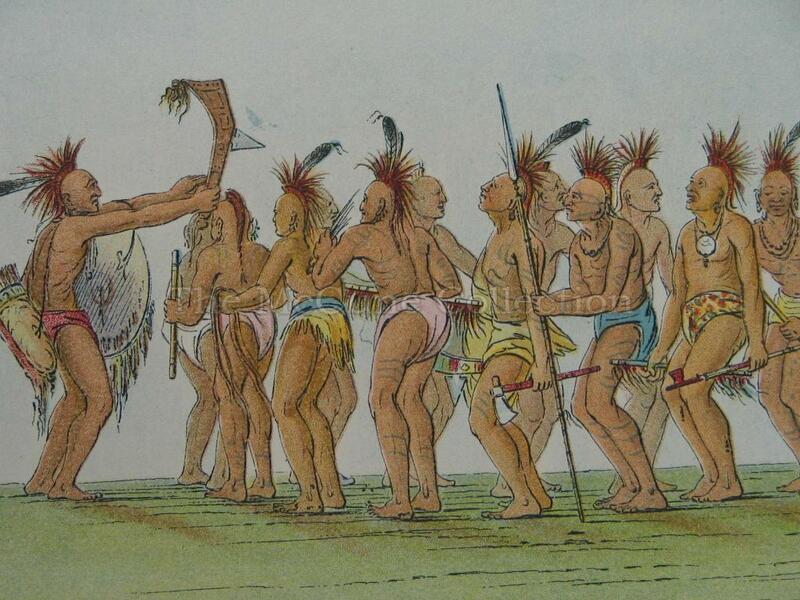 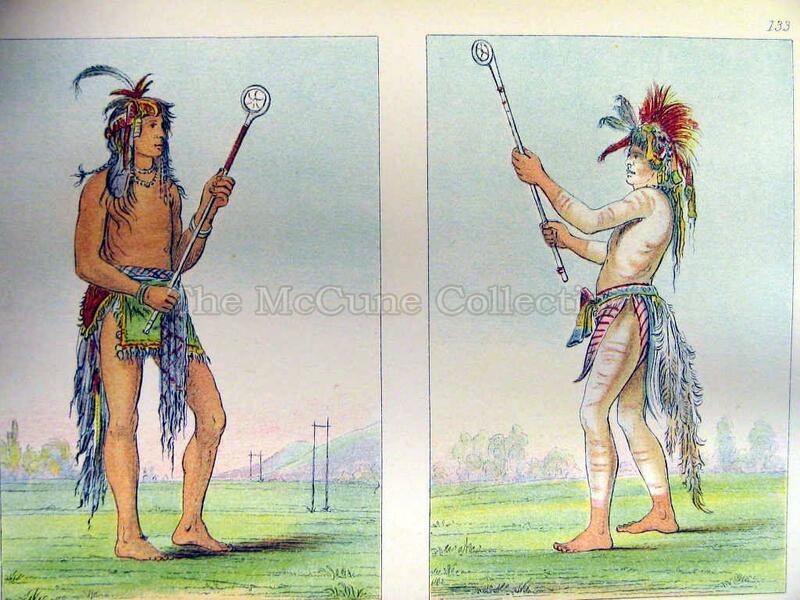 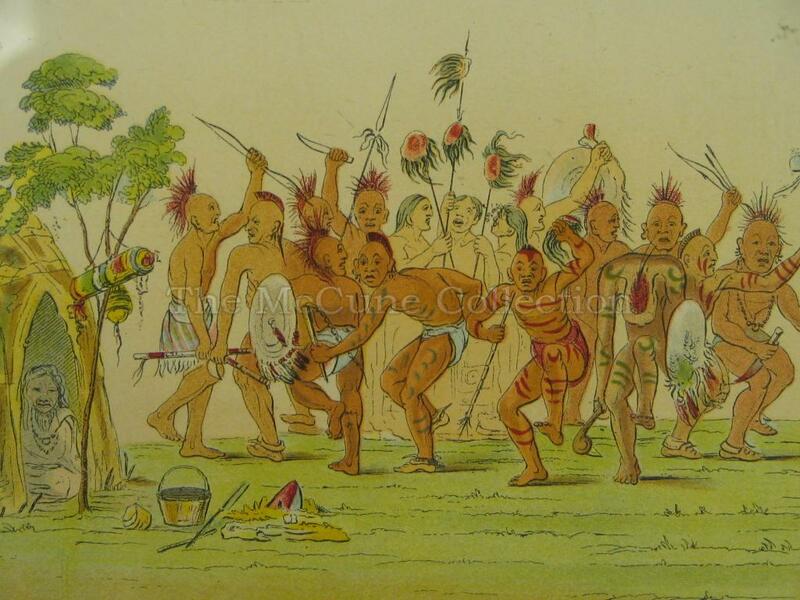 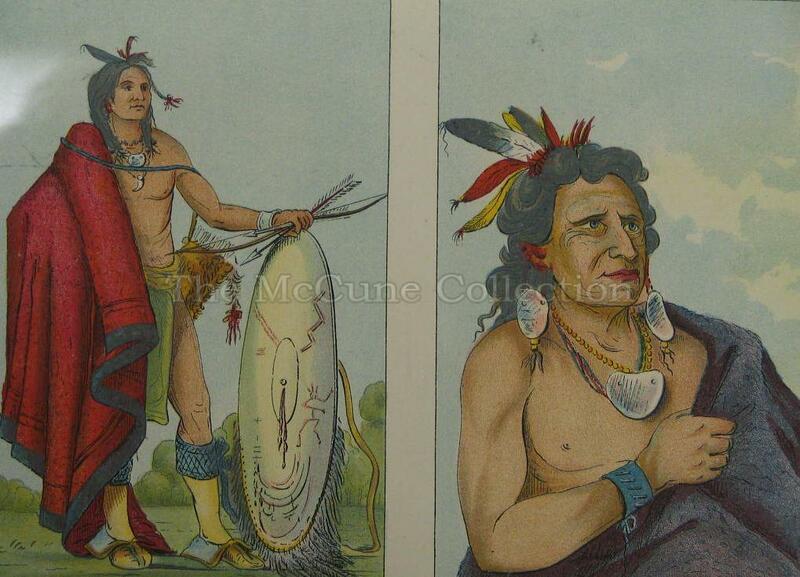 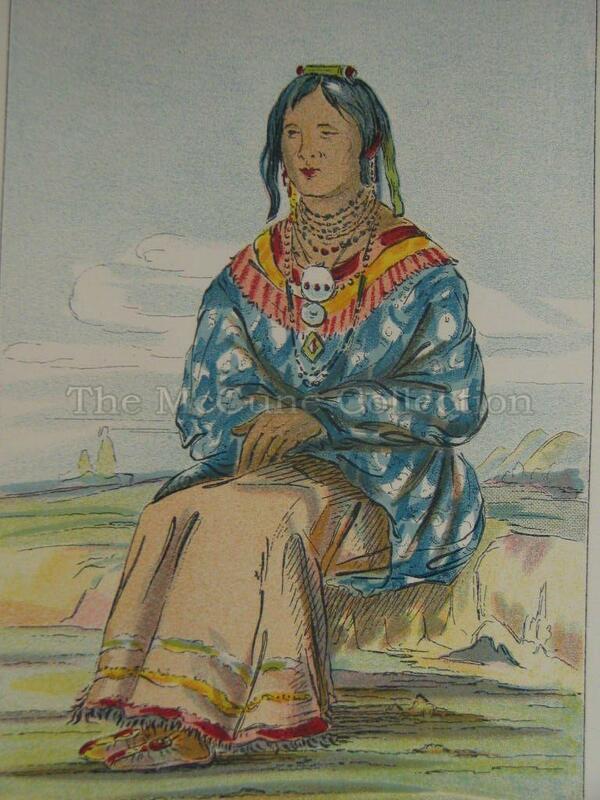 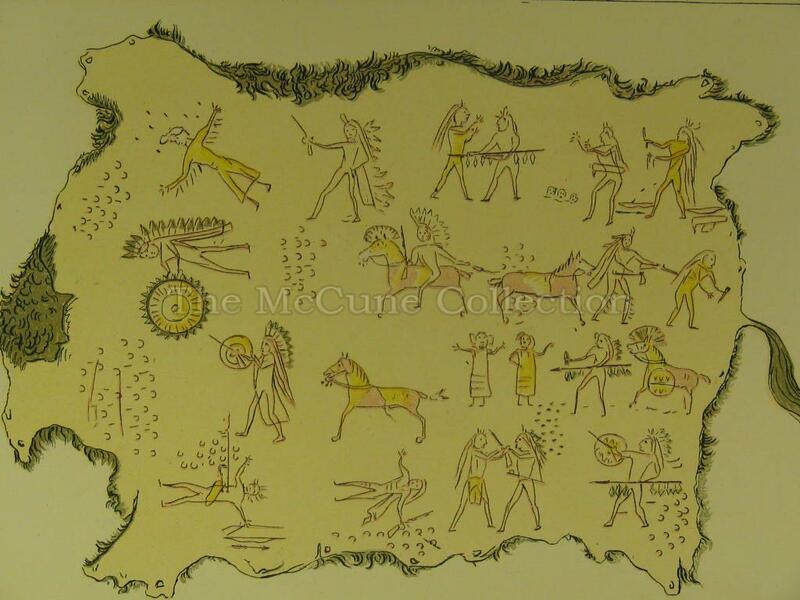 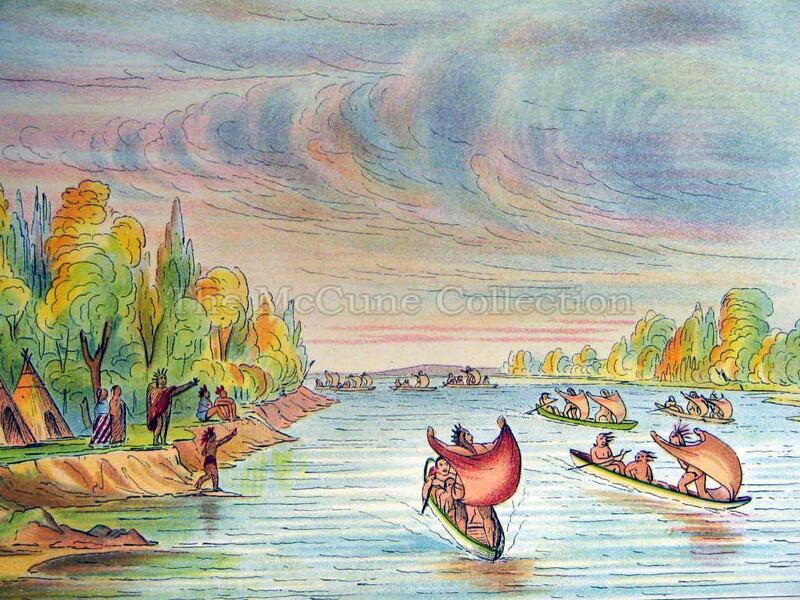 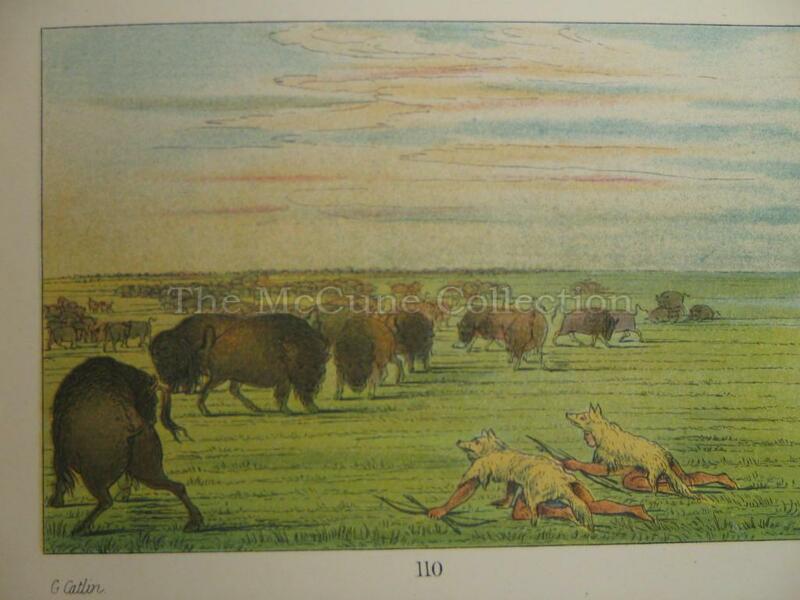 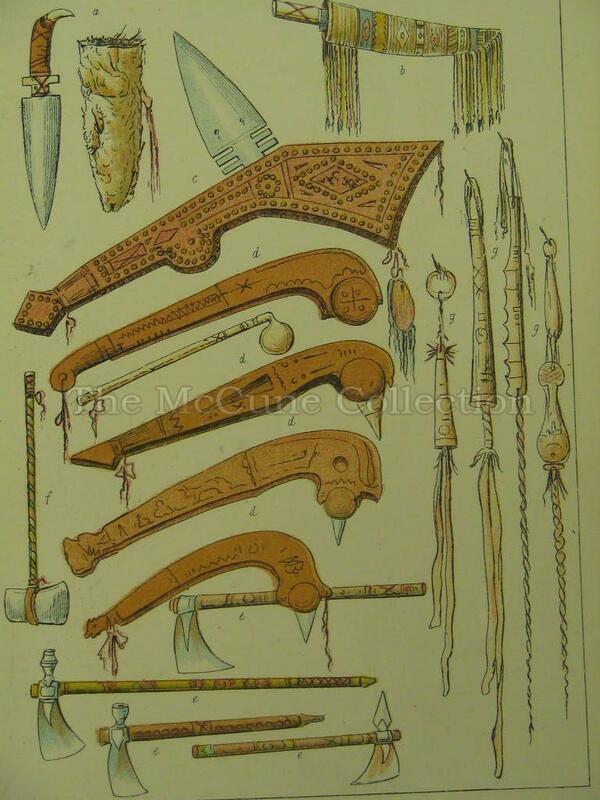 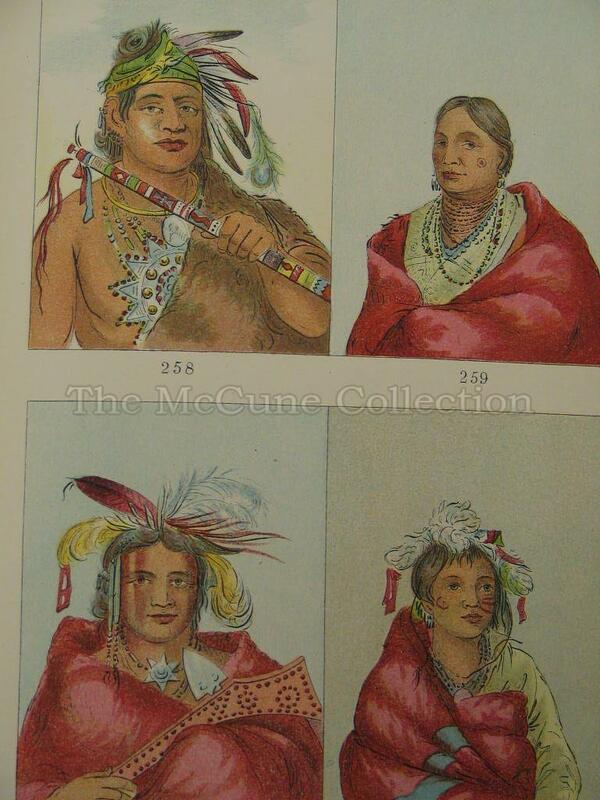 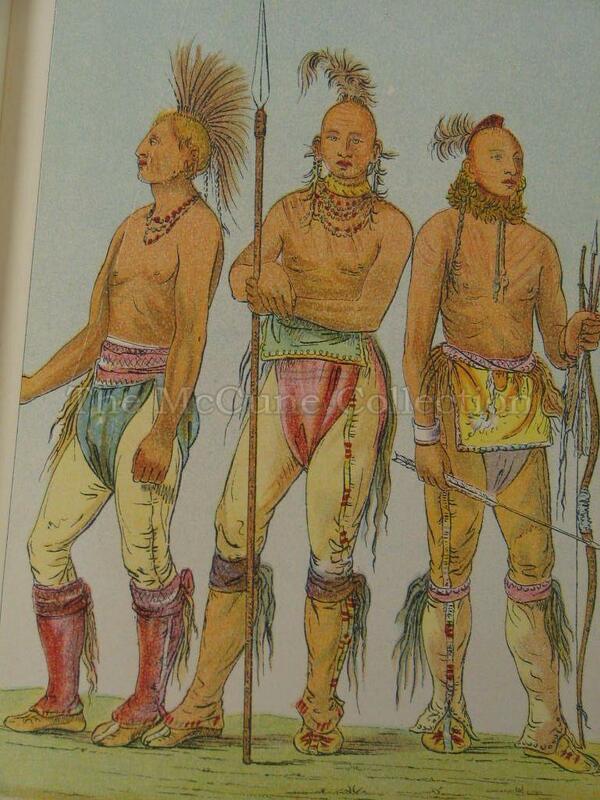 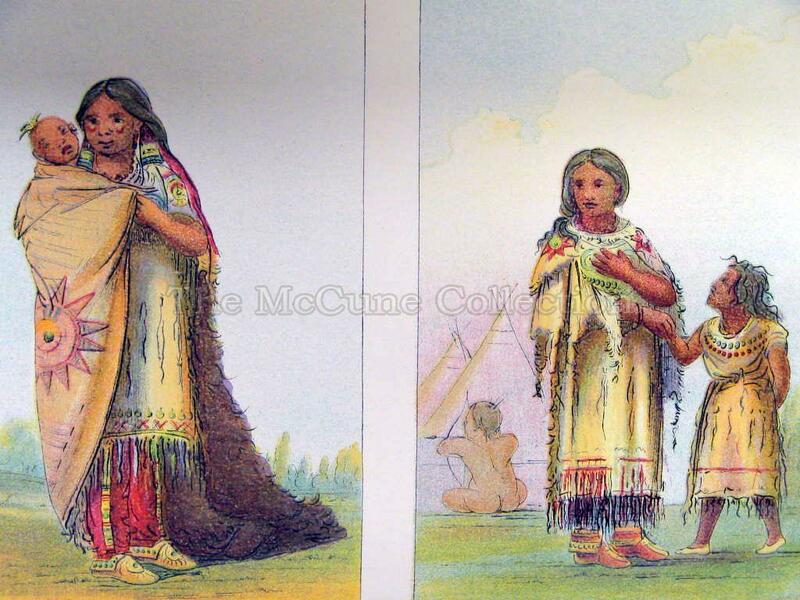 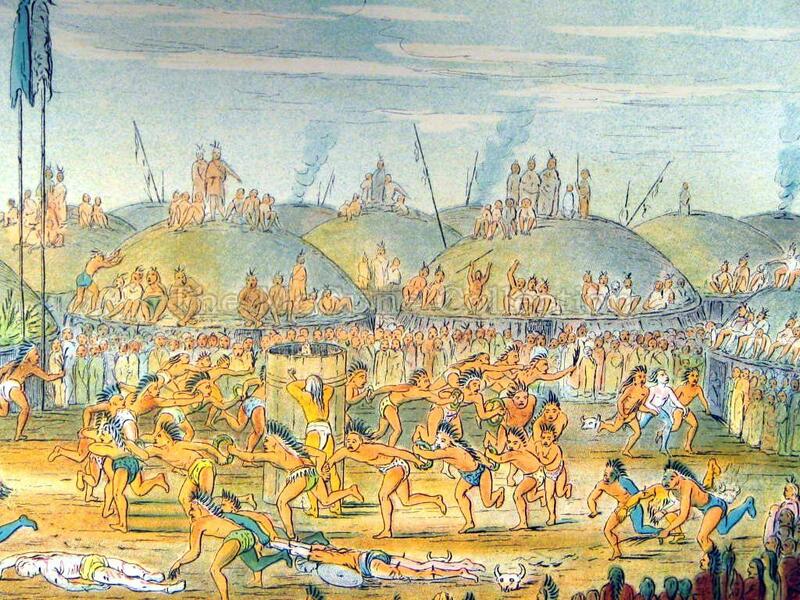 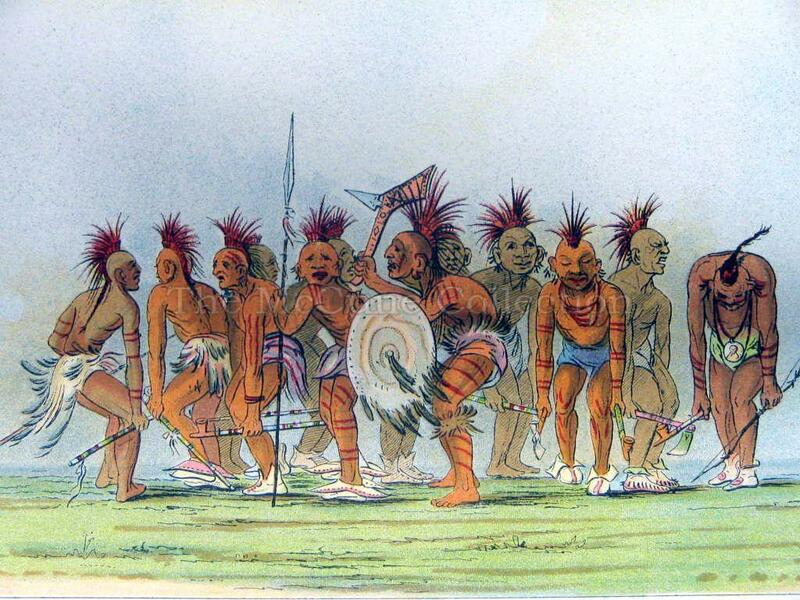 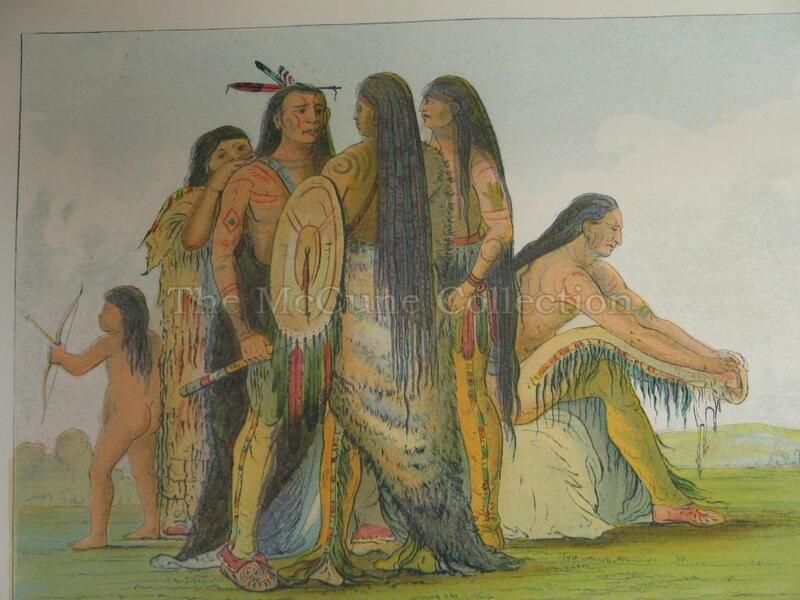 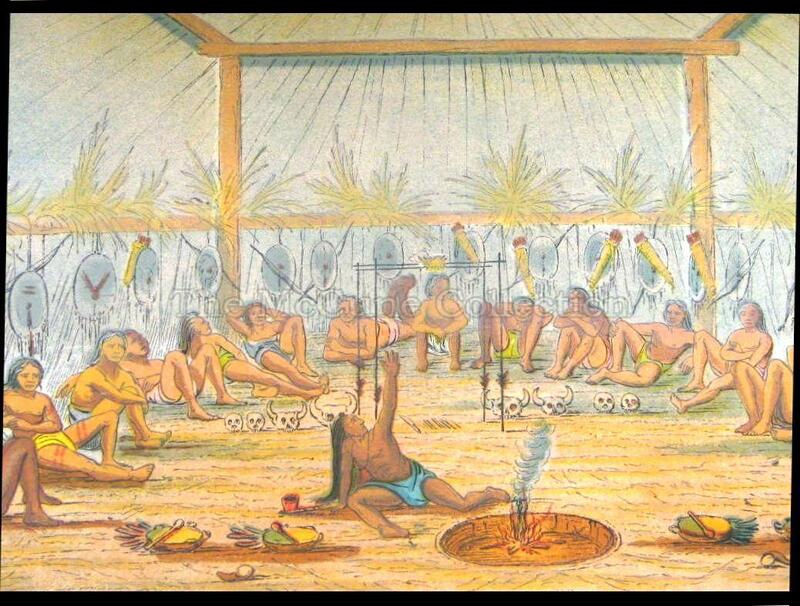 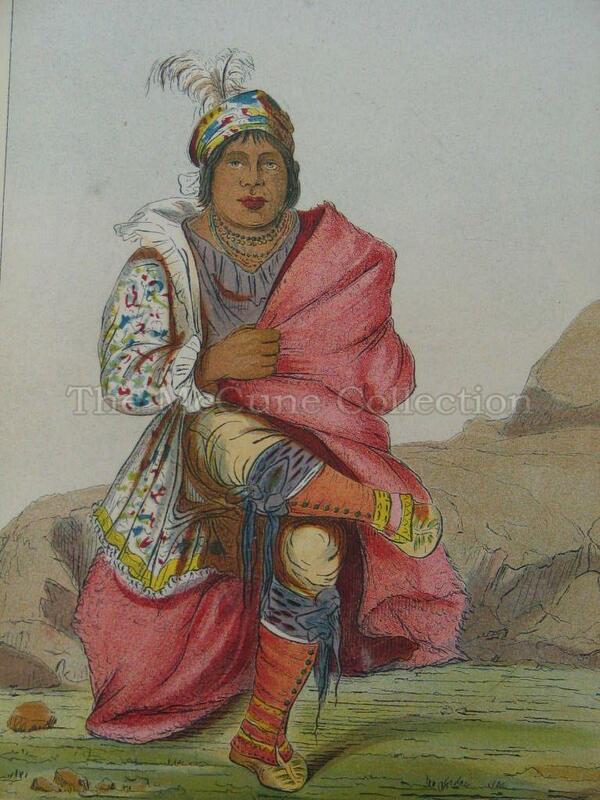 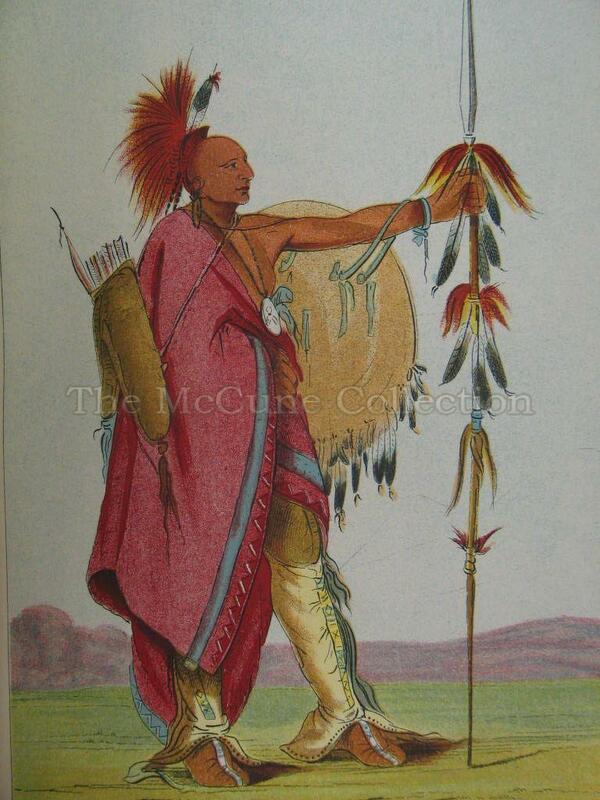 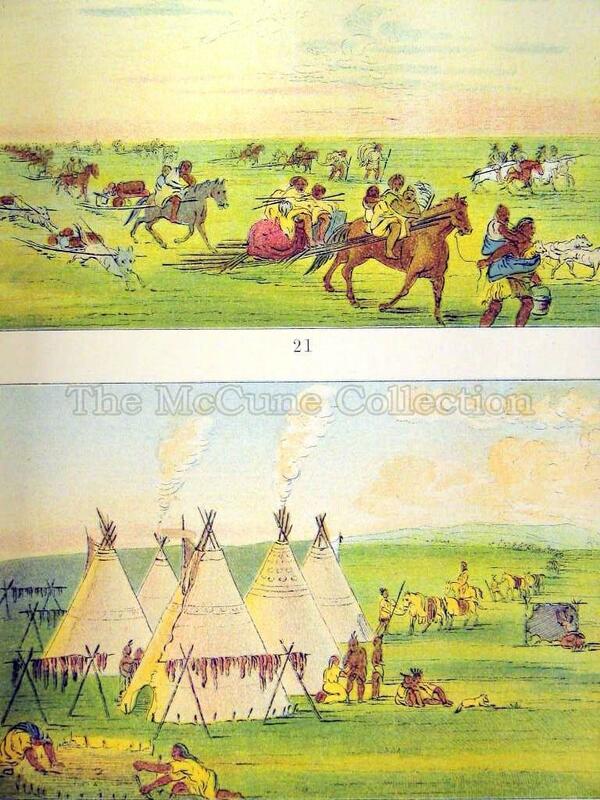 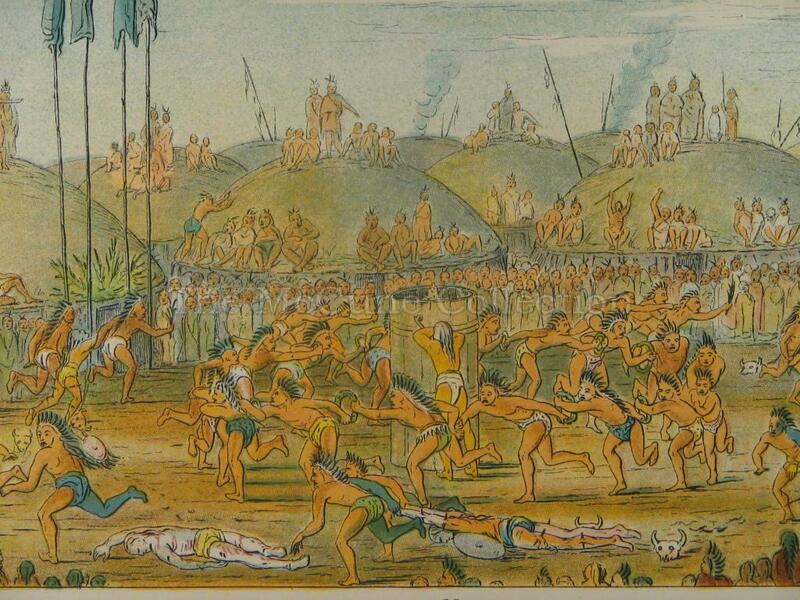 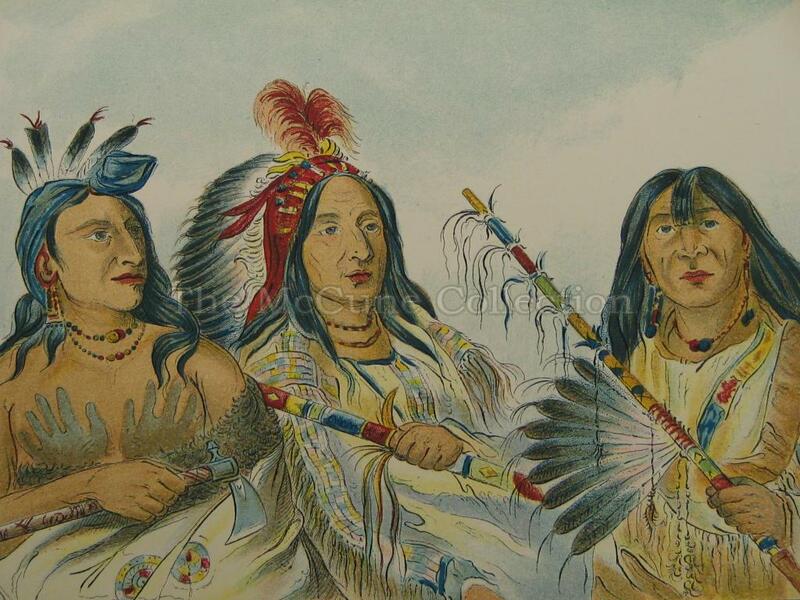 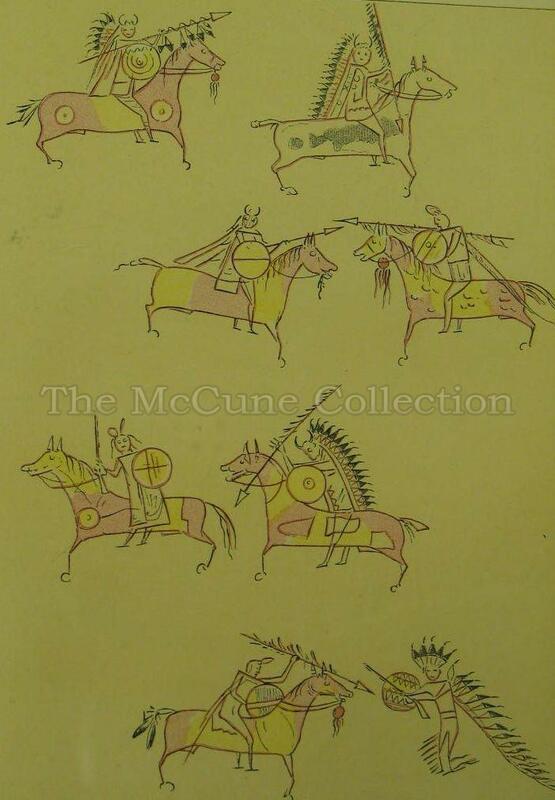 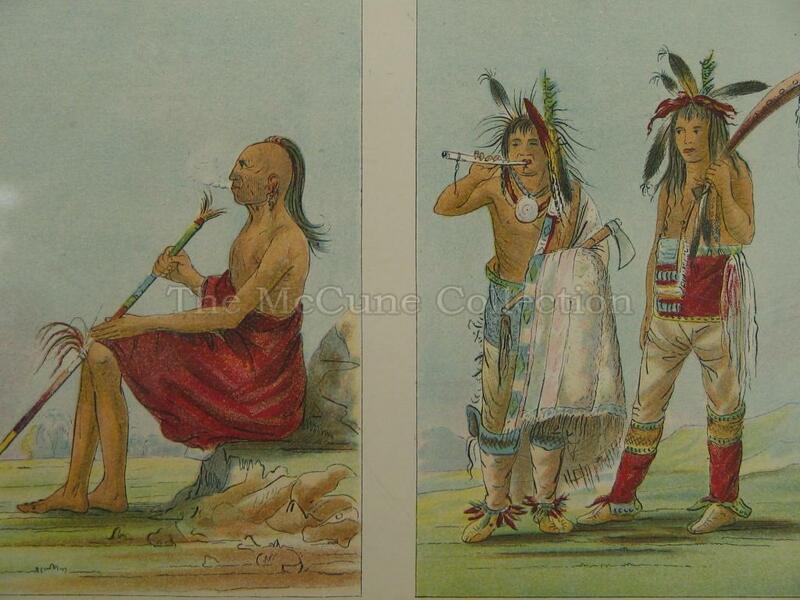 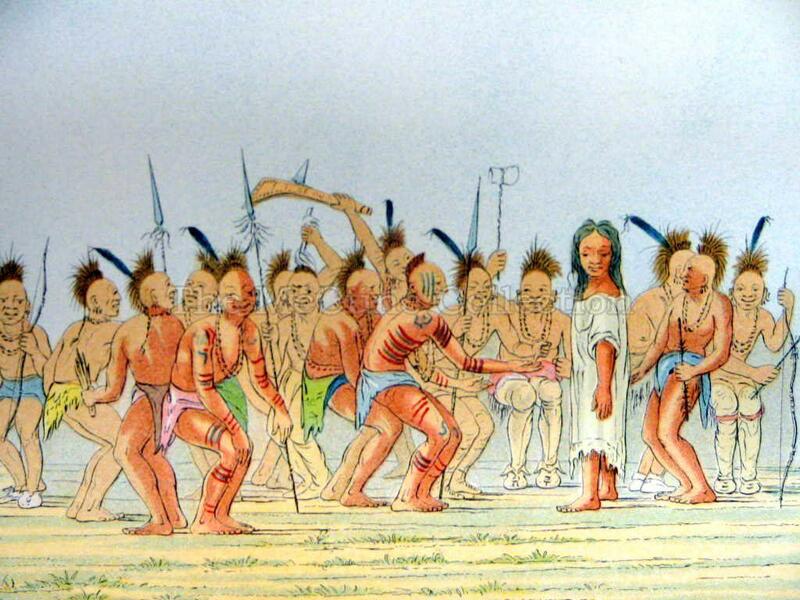 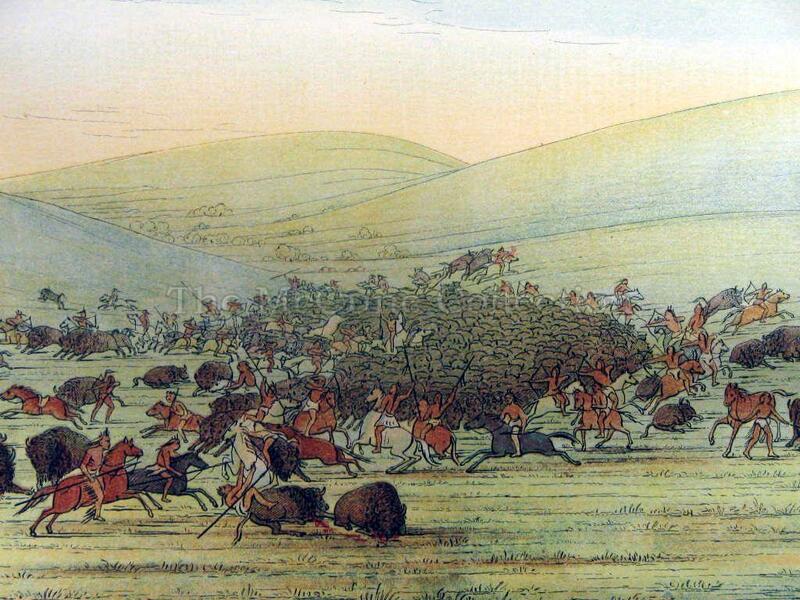 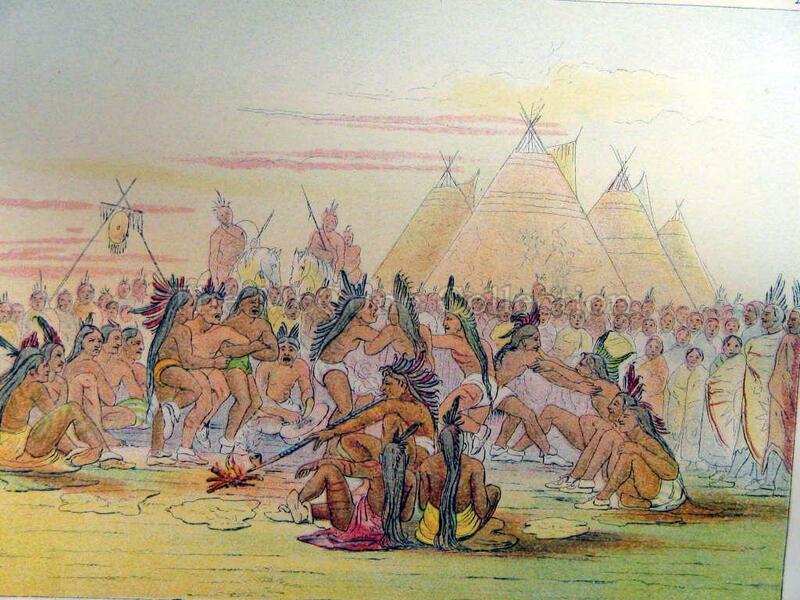 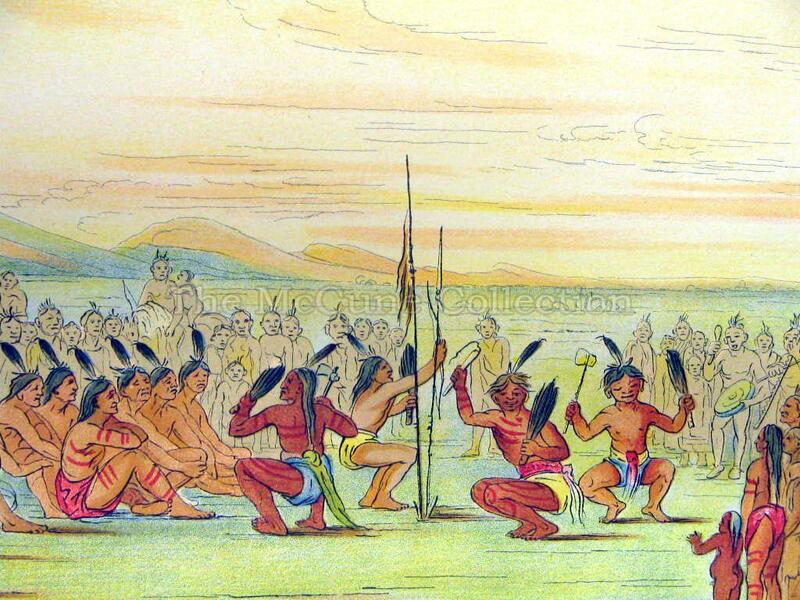 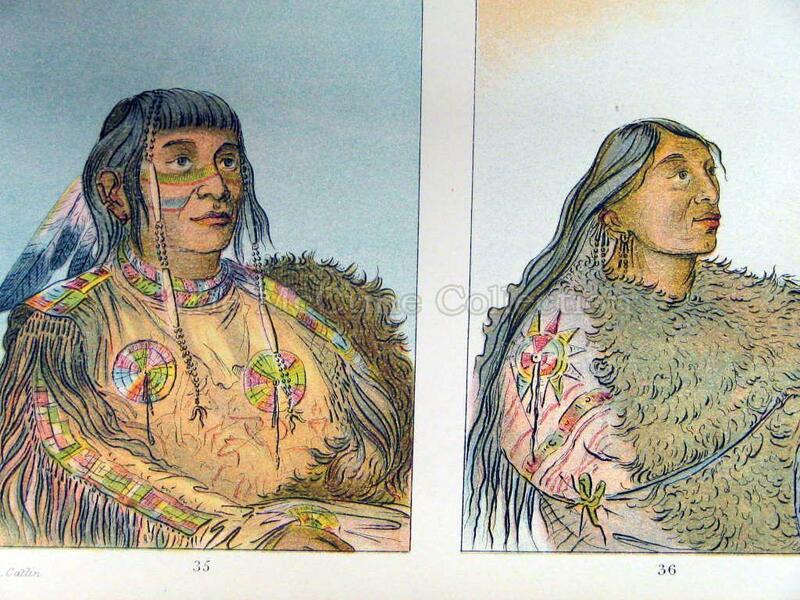 He made a number of trips to paint the Indian tribes from 1830-1836. 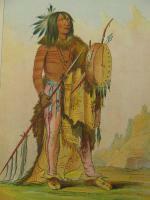 He opened an Indian Gallery of his painting in 1837 in New York, which contained over 500 paintings. 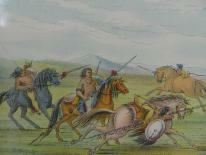 He later moved his paintings to other major cities for viewing and in 1840, he moved his paintings to England and later Paris. 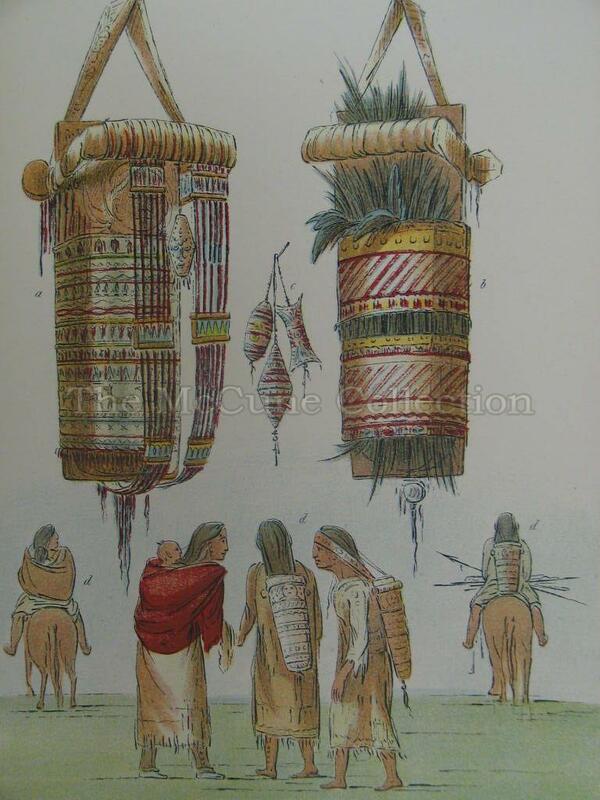 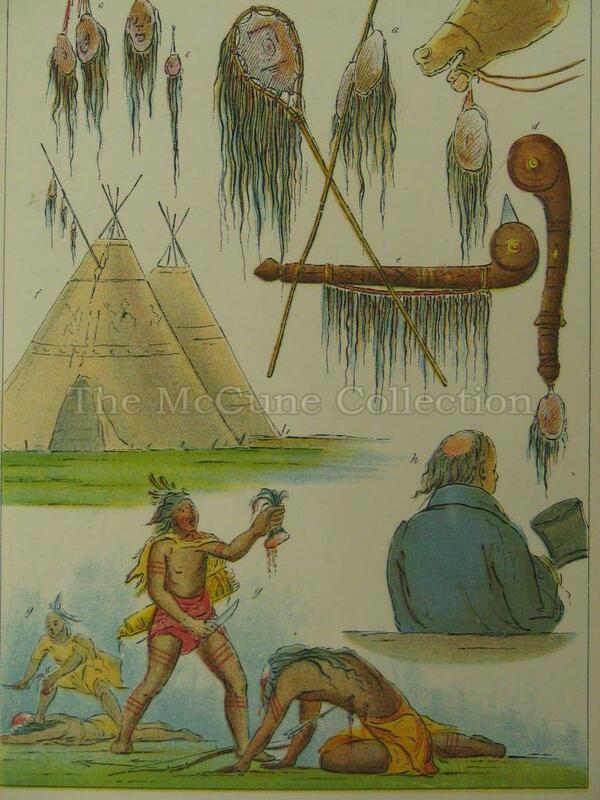 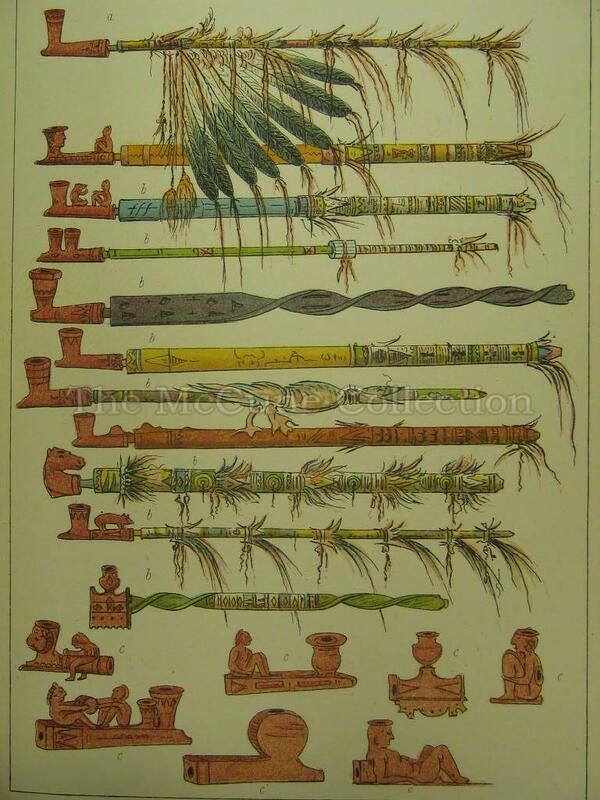 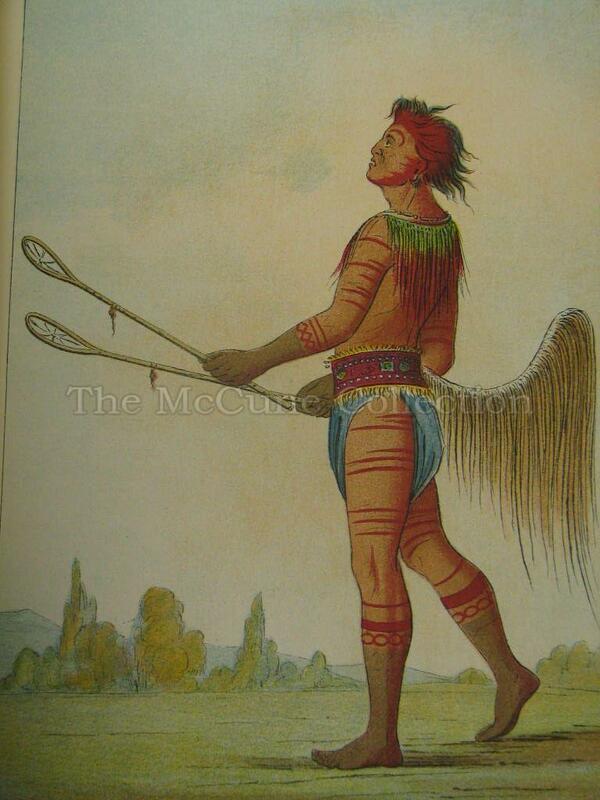 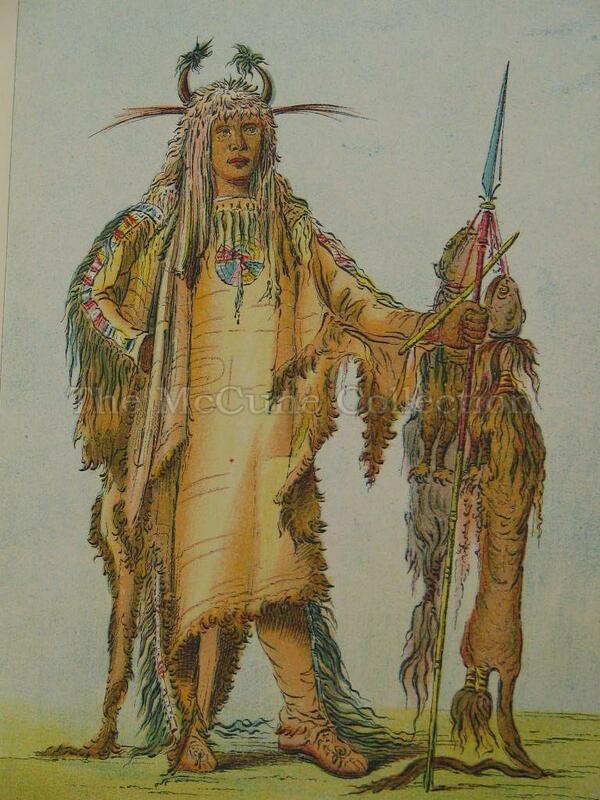 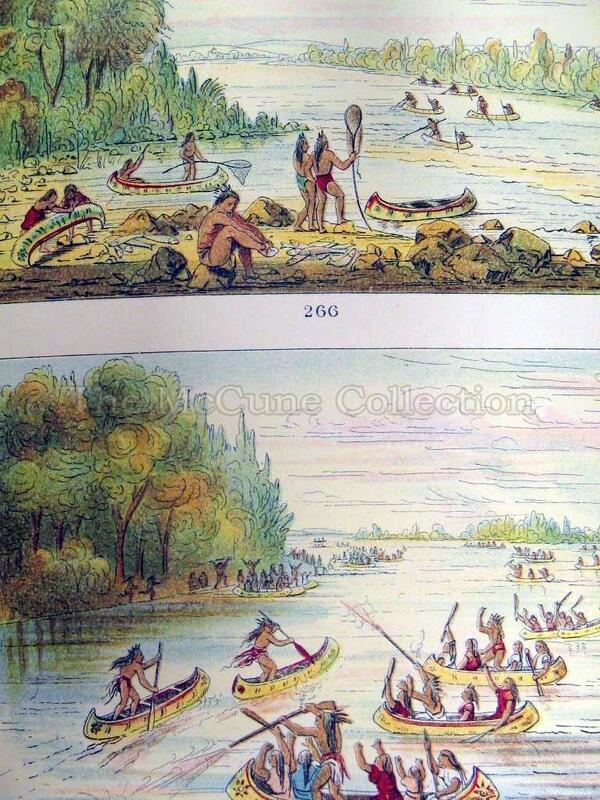 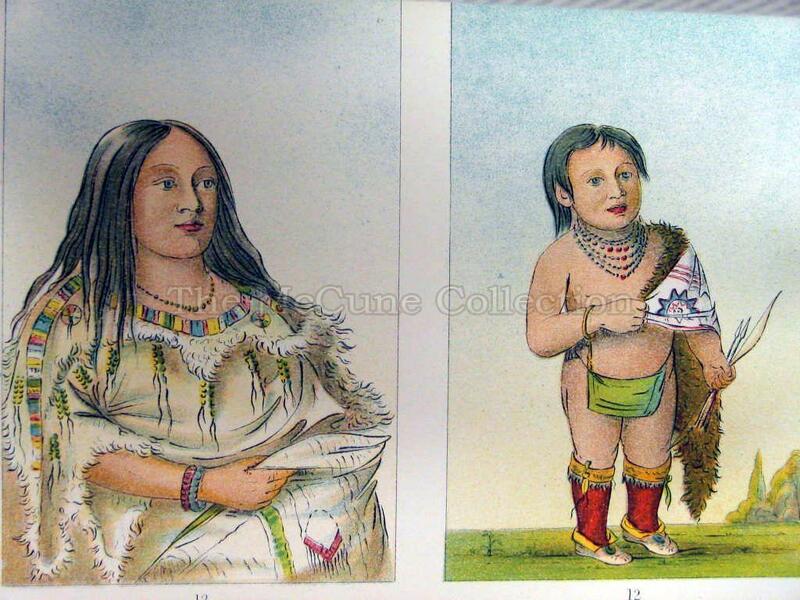 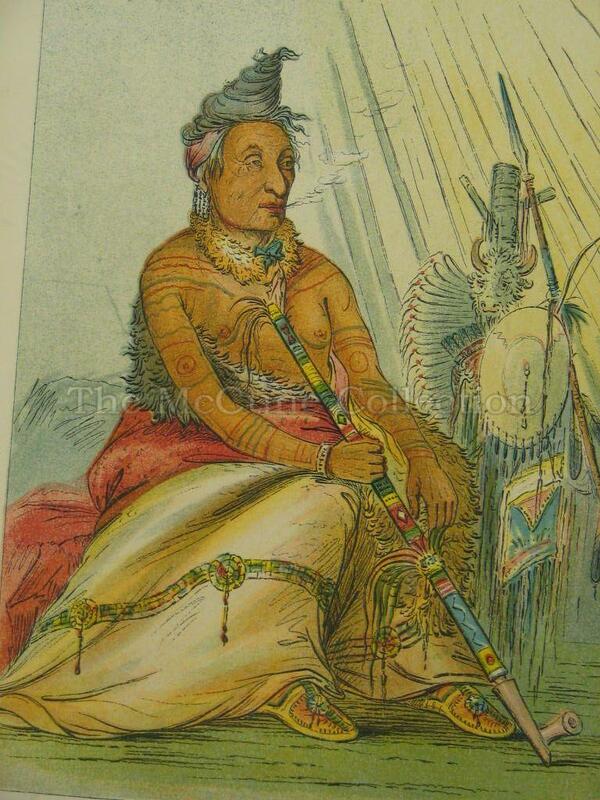 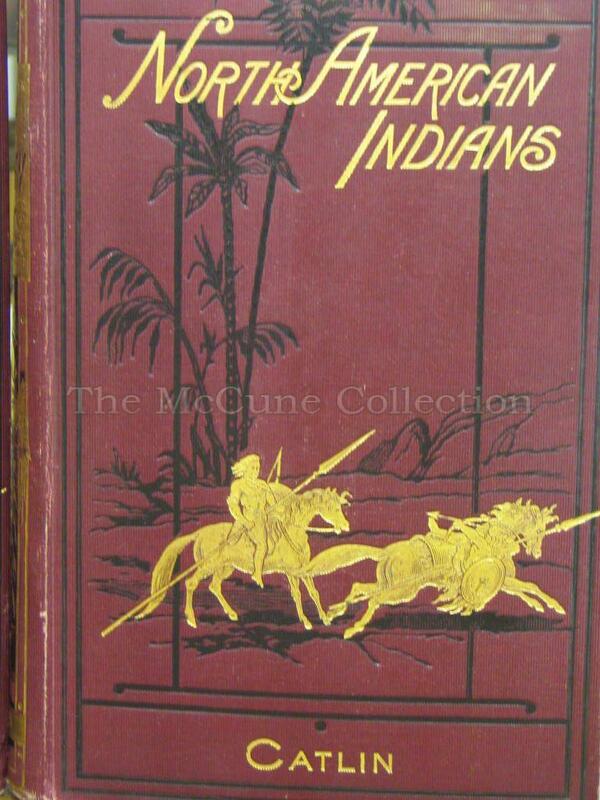 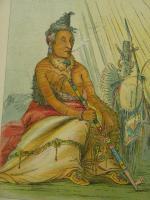 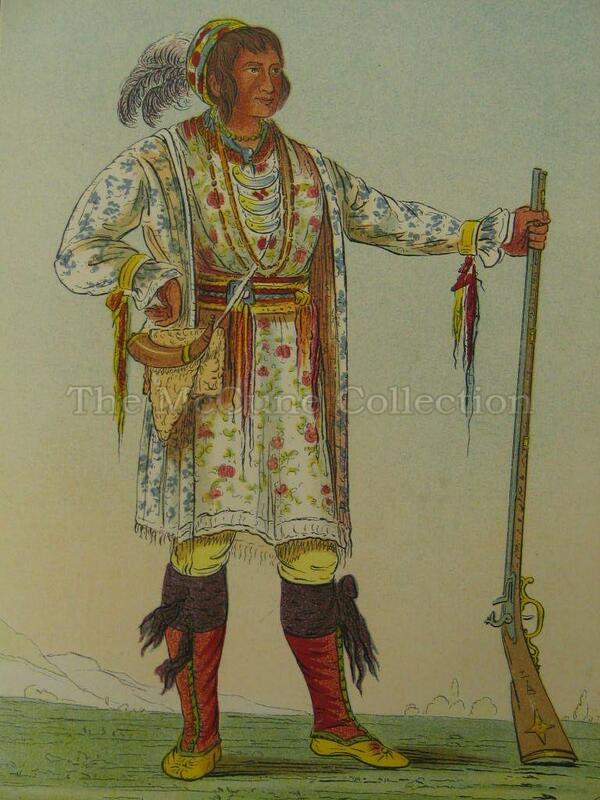 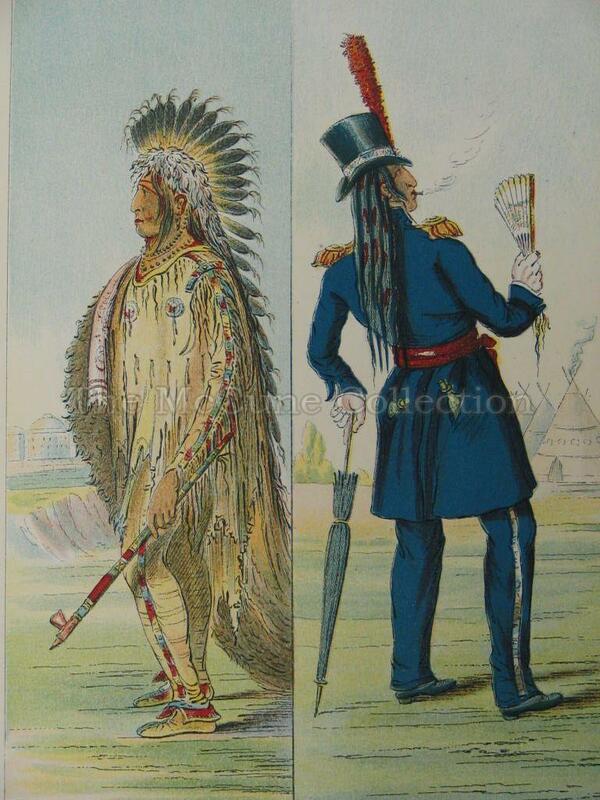 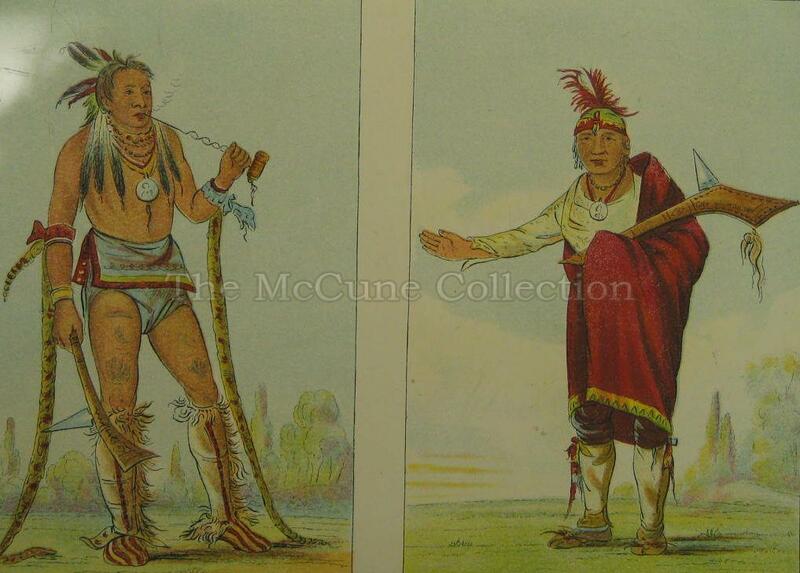 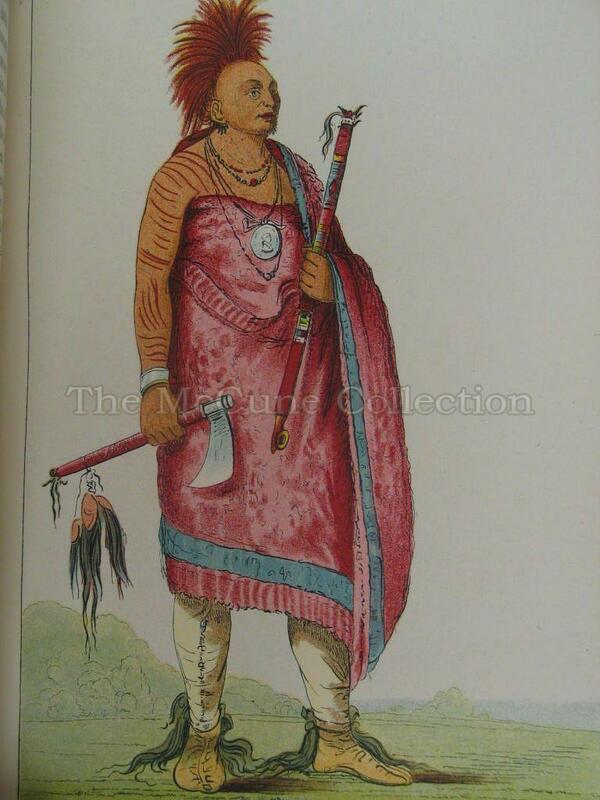 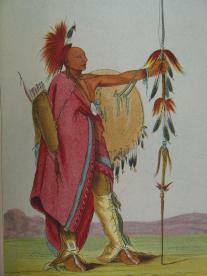 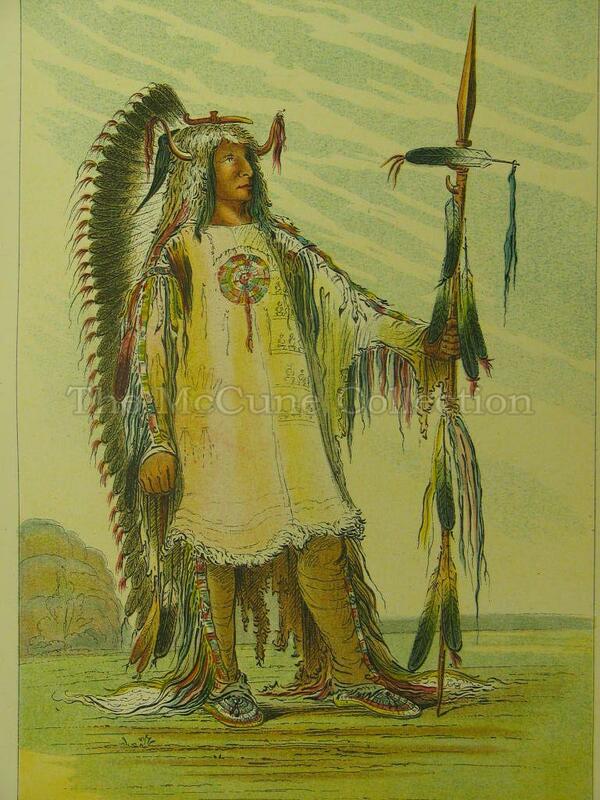 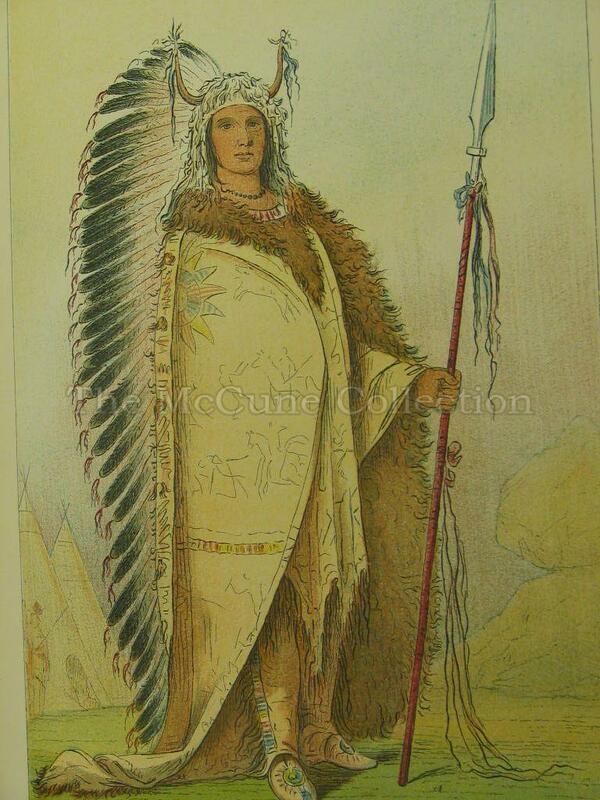 In 1841, he published a book in two volumes about his journey with the Indians of North America. 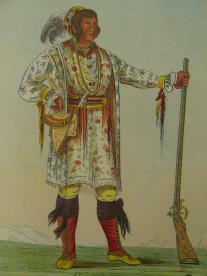 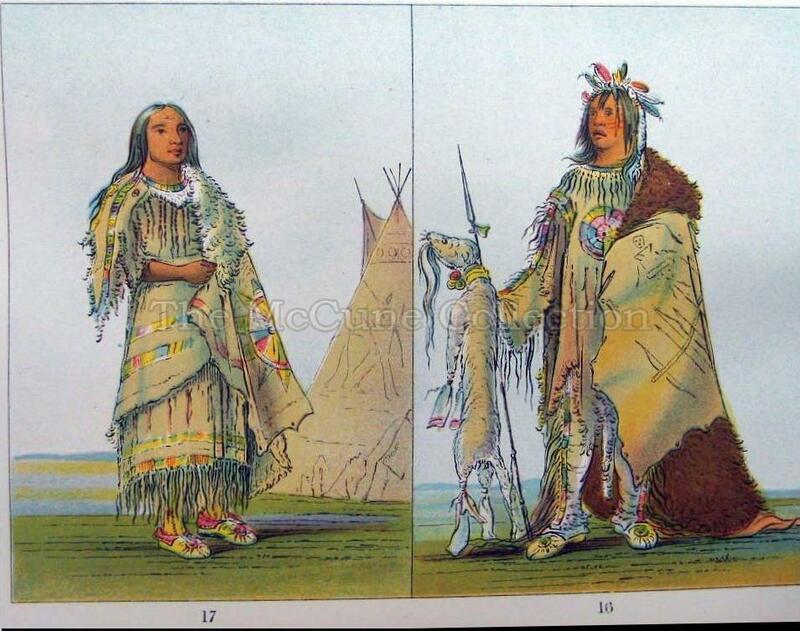 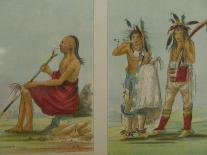 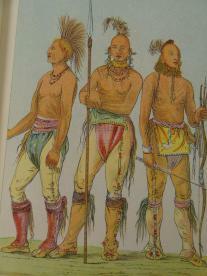 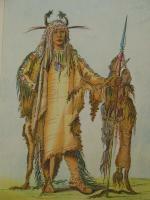 In it, Catlin included information about the manners and customs of the Native Americans, and included the sketches he made during his journeys. Although he is noted as a portrait artist, he also did many scenes of the Native Americans way of life, including buffalo hunts, religious rituals, lacrosse games, medicine ceremonies, and everyday life. 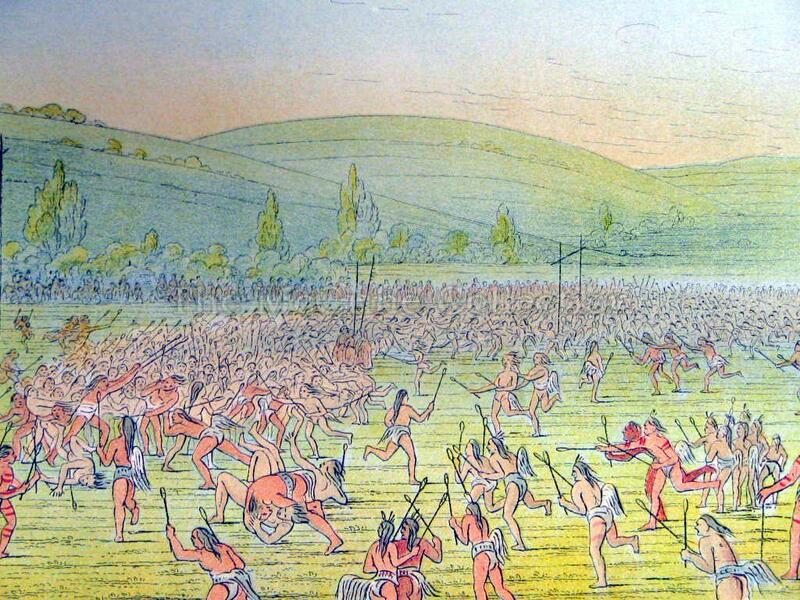 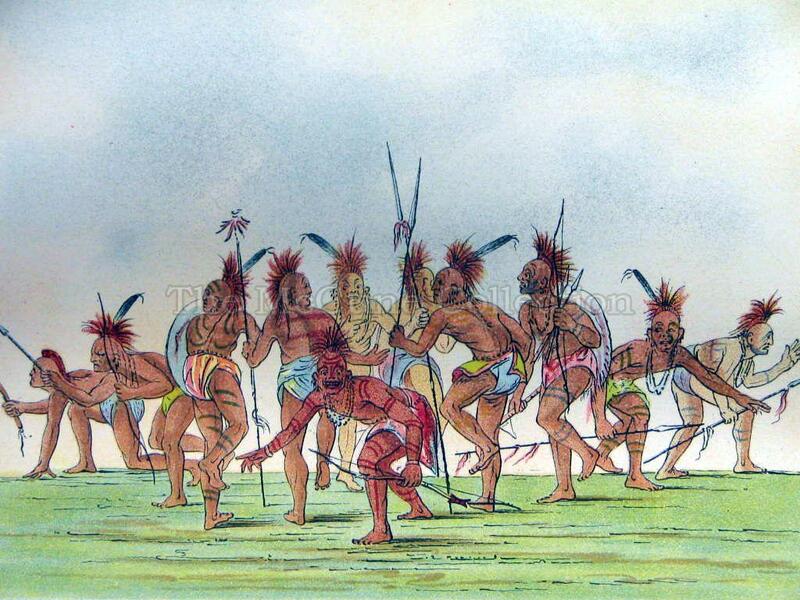 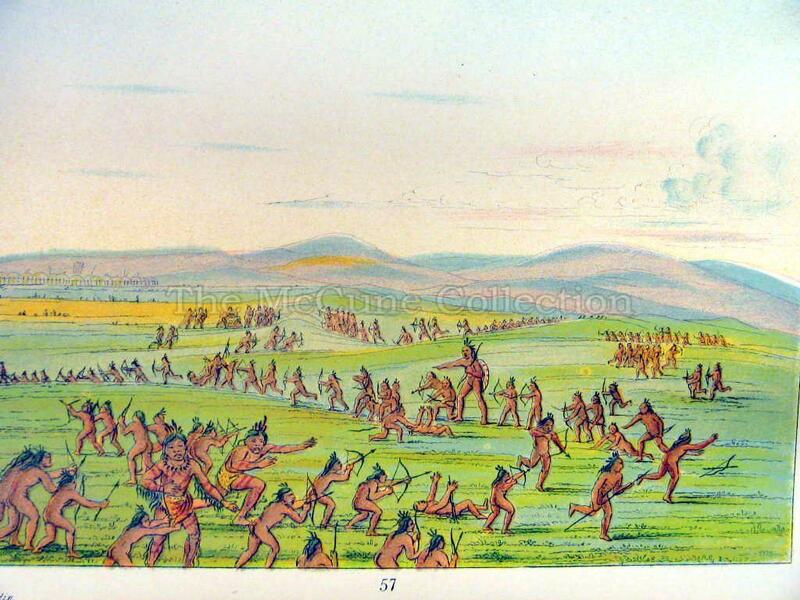 Catlin painted the Indians in their own environment. 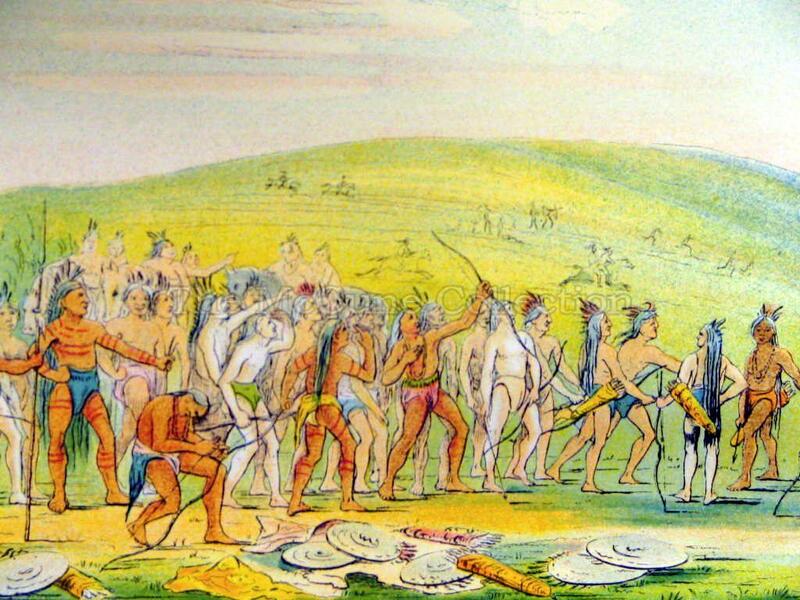 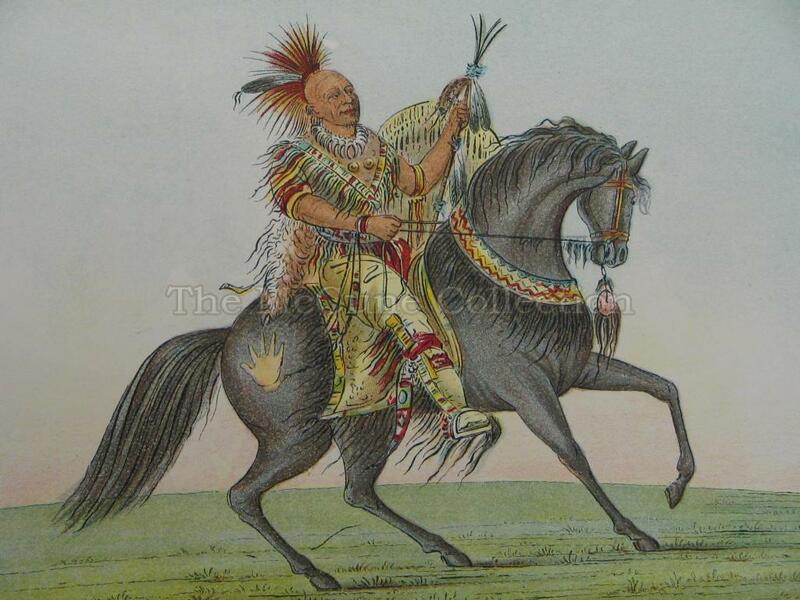 He traveled with Indian agents to visit over fifty tribes, including the Sioux, the Mandans, the Blackfeet, the Assinboines, the Sacs and Foxes, the Winnebagos, Comanches, Chippewa (Ojibway), Osage, Cherokee, and Choctaw between 1830 and 1836. Although he tried for years to have the federal government in Washington, D.C. buy his collection, this never happened. However, in 1852, Joseph Harrison, a wealthy Philadelphian industrialist, bought the collection. 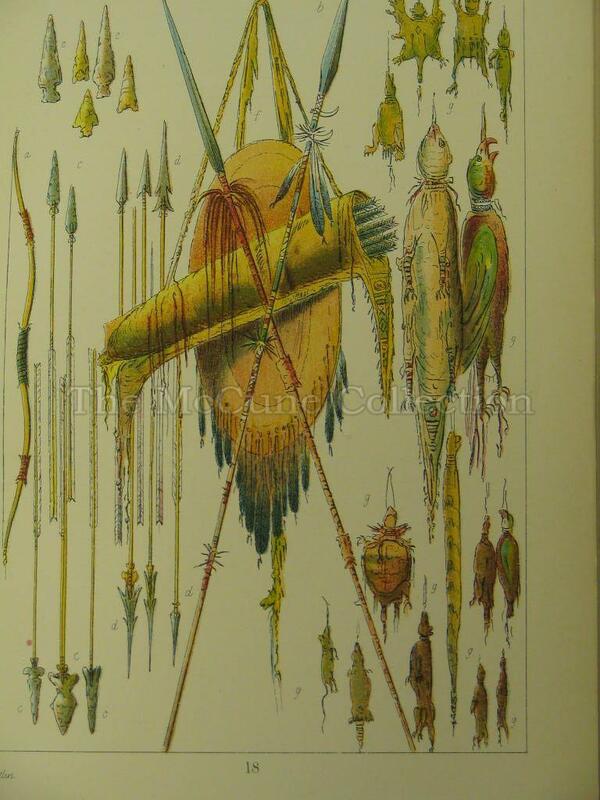 After Harrison’s death, his widow donated the collection to the Smithsonian in 1879. 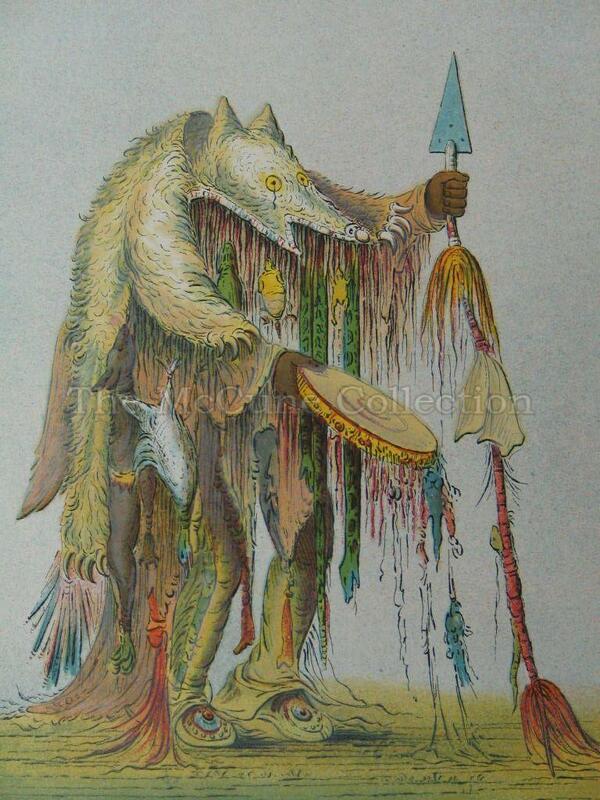 See also Leary, Stuart and Co.